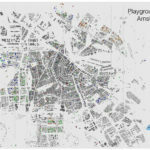 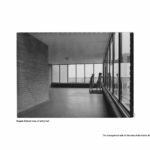 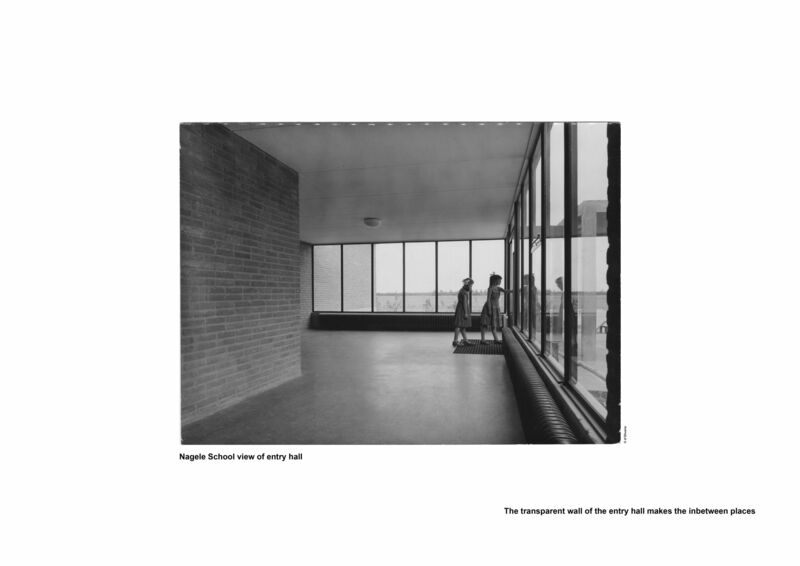 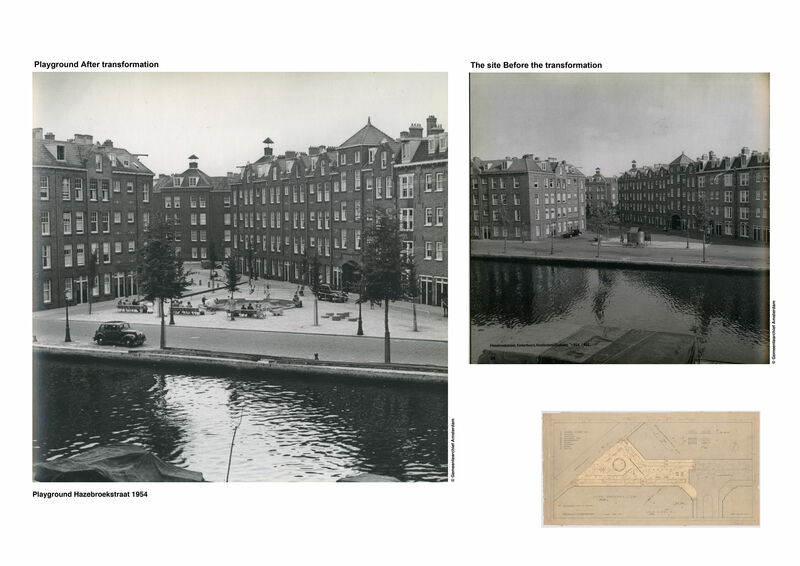 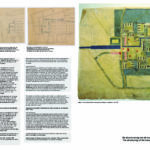 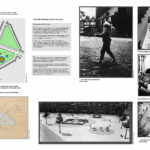 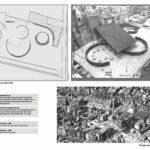 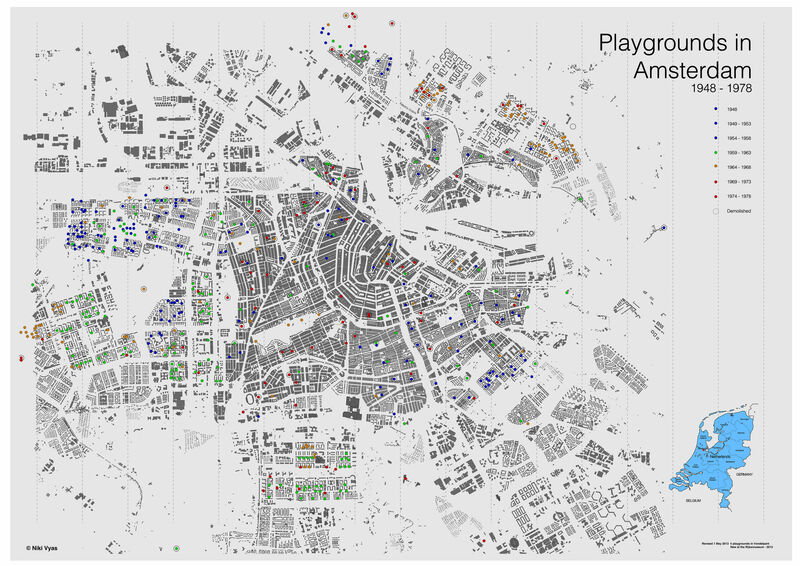 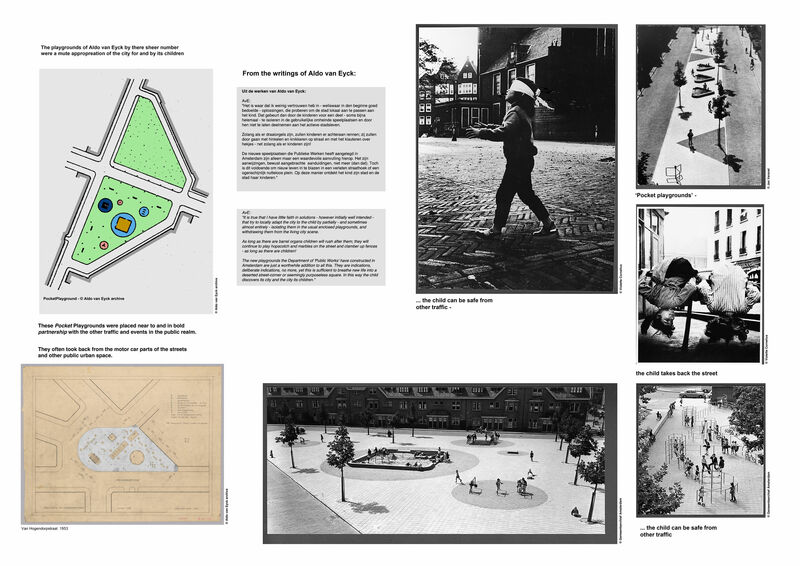 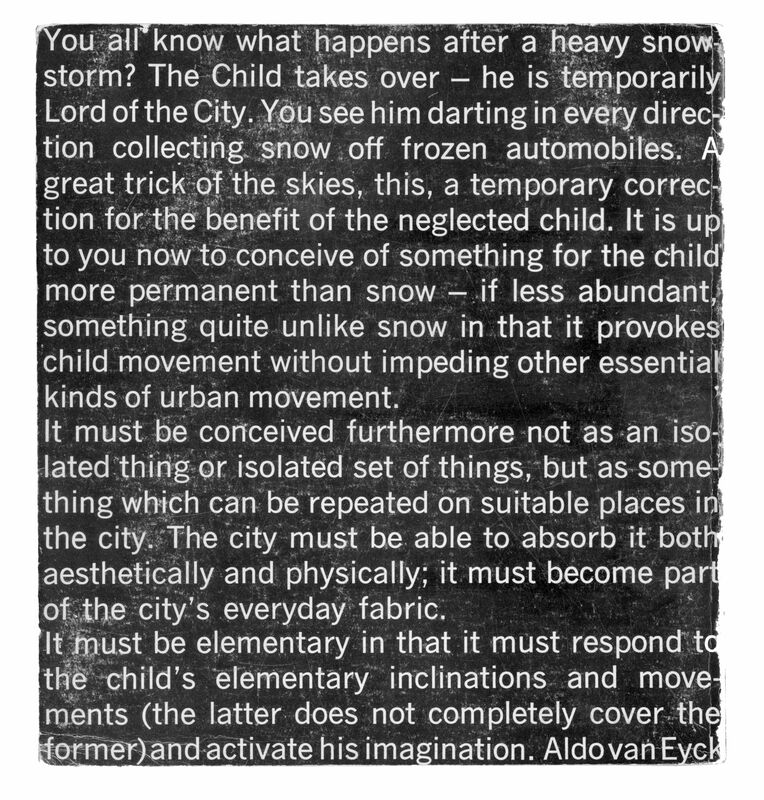 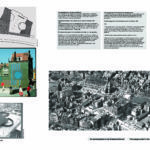 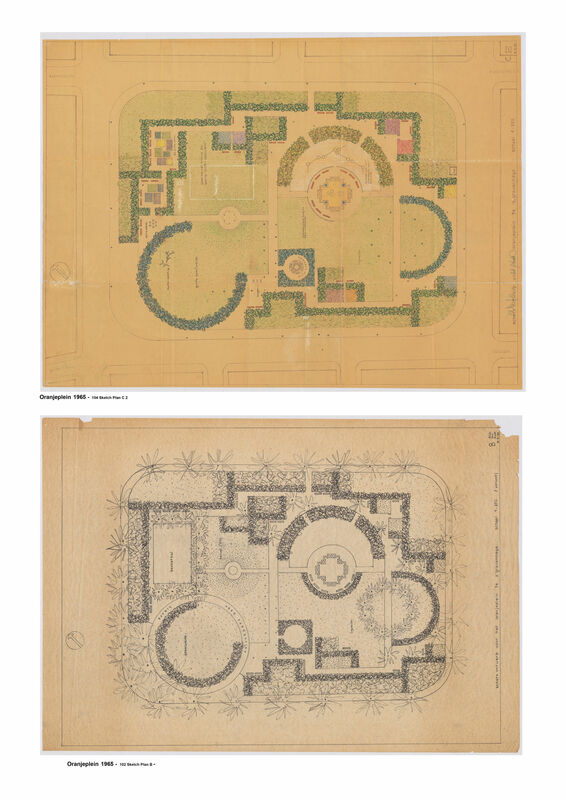 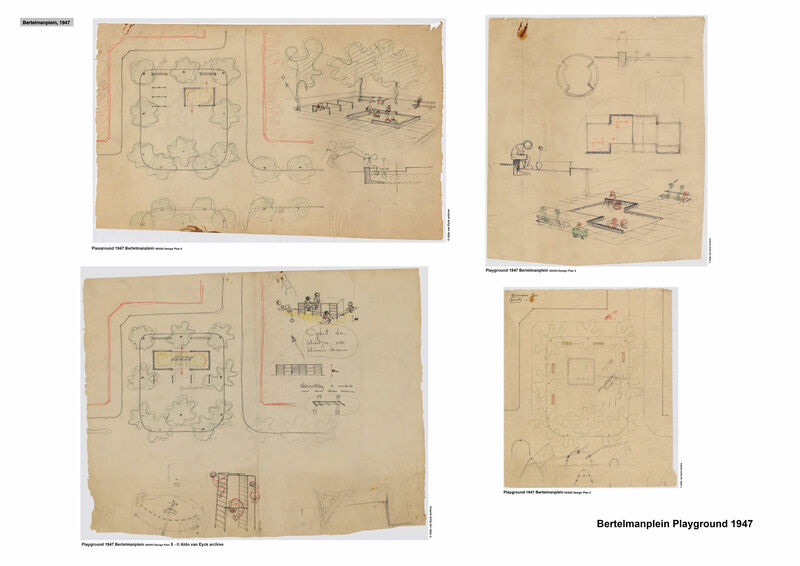 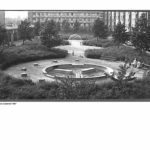 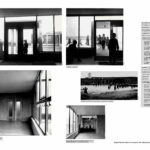 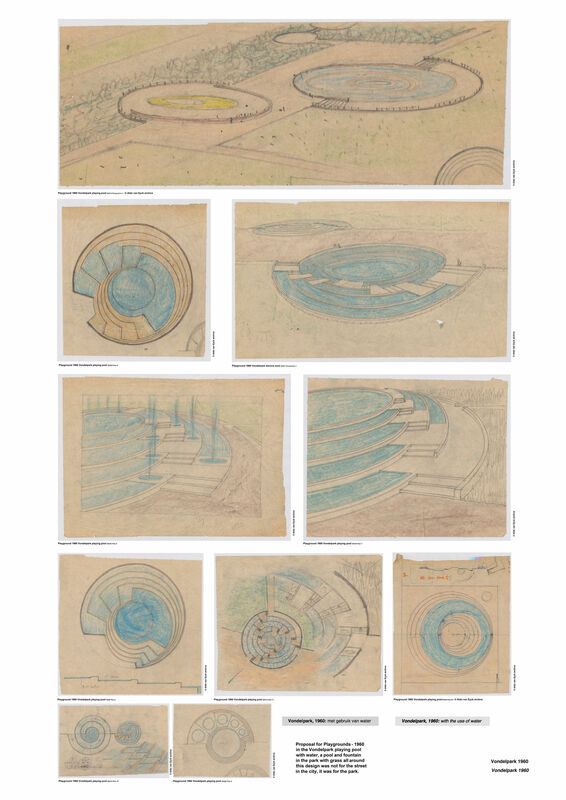 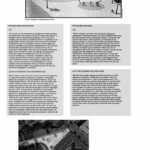 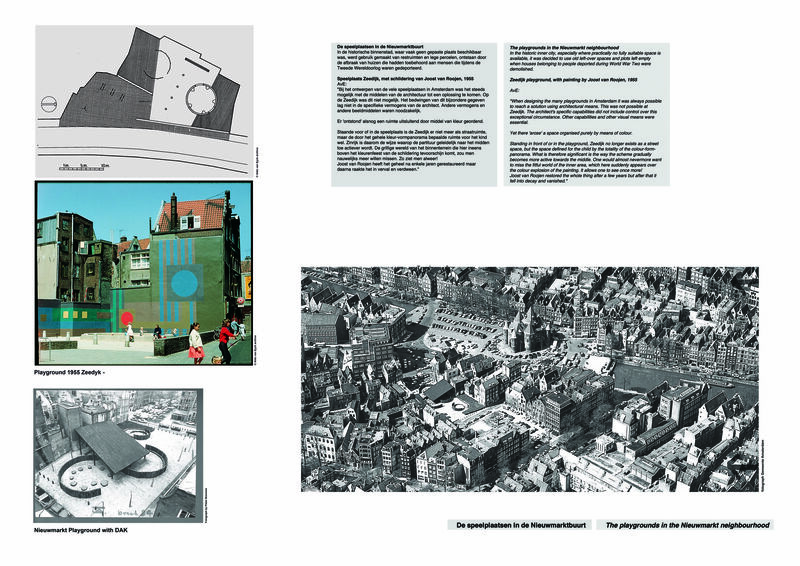 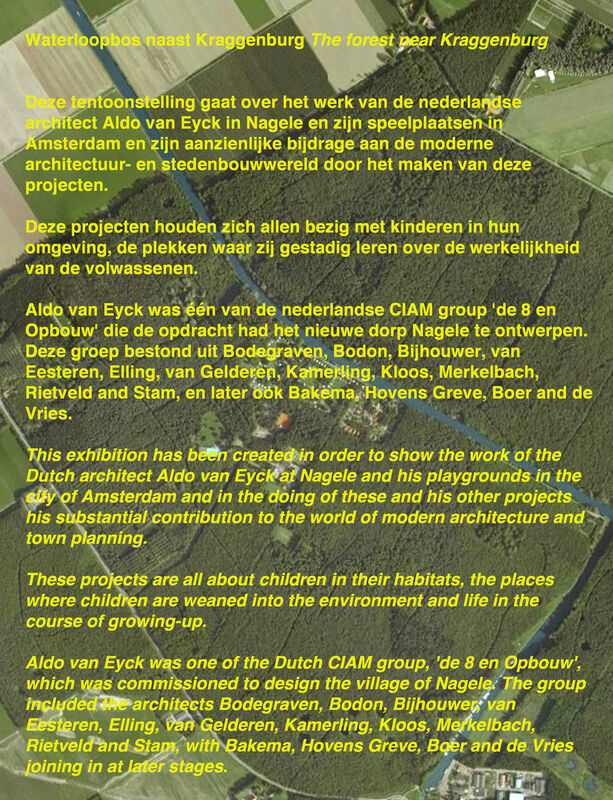 This exhibition has been created in order to show the work of the Dutch architect Aldo van Eyck at Nagele and his playgrounds in the city of Amsterdam and in the doing of these and his other projects his substantial contribution to the world of modern architecture and town planning. 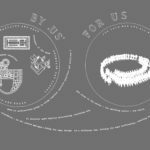 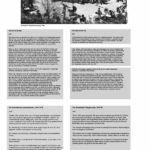 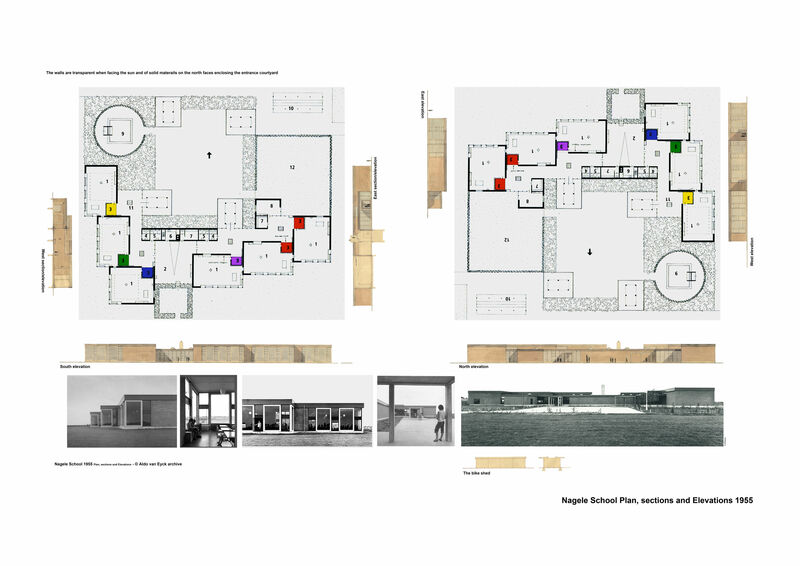 These projects are all about children in their habitats, the places where children are weaned into the environment and life in the course of growing-up. 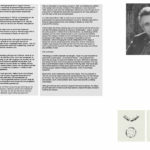 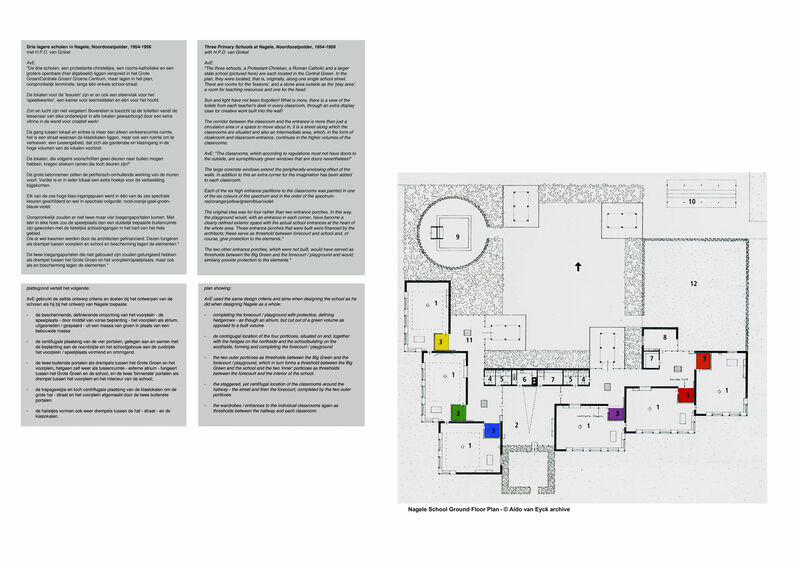 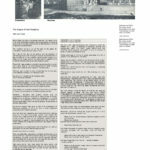 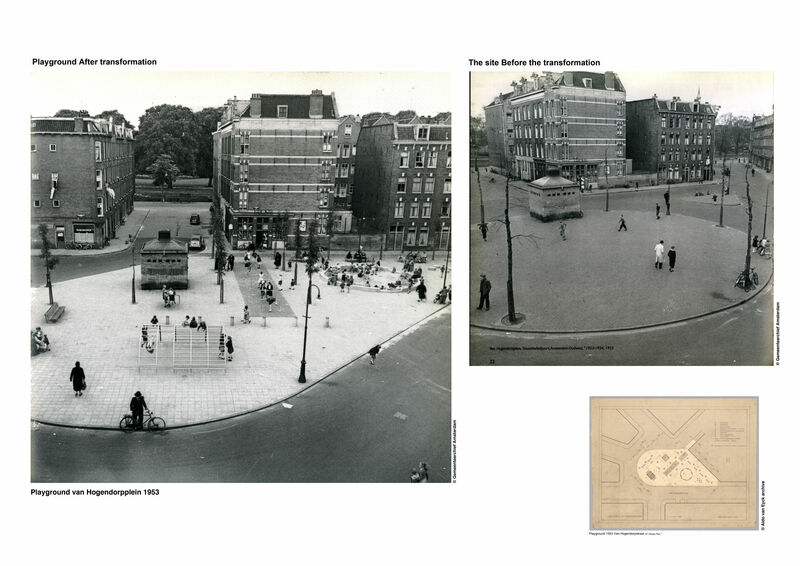 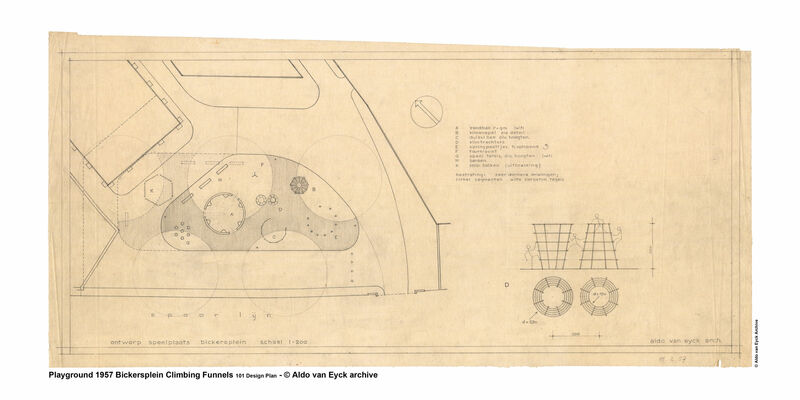 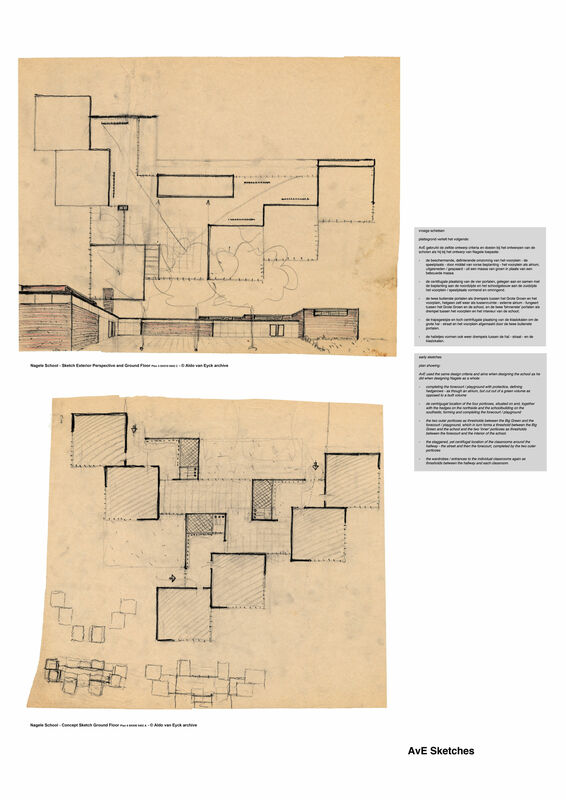 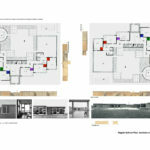 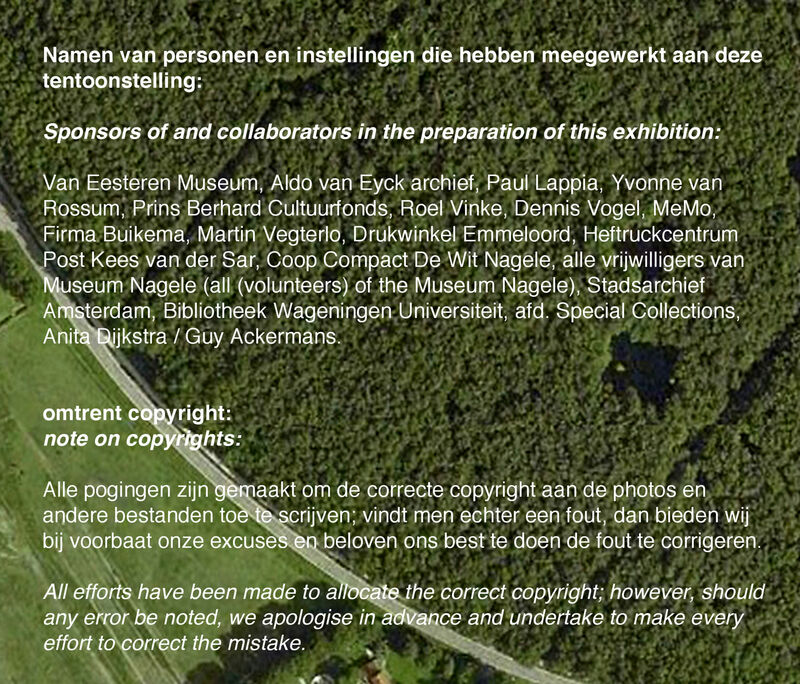 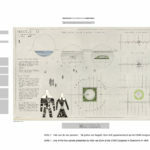 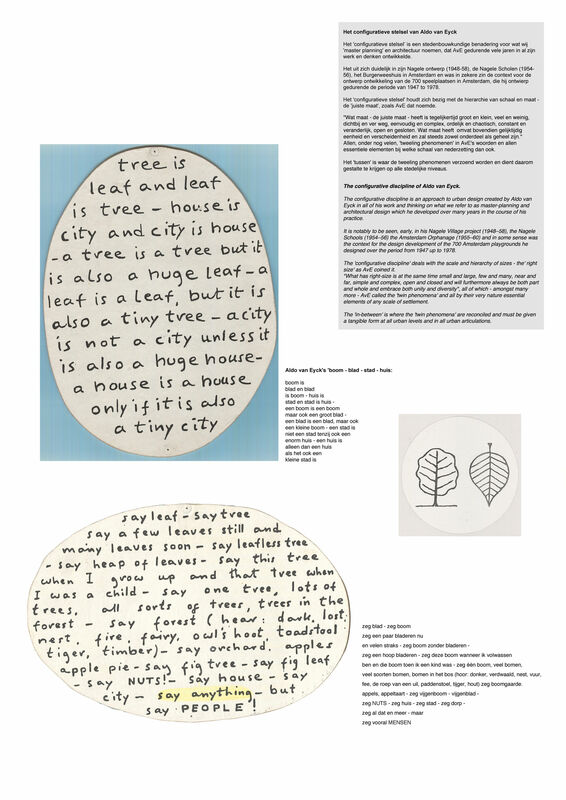 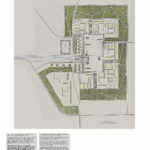 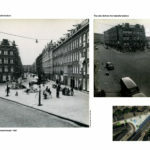 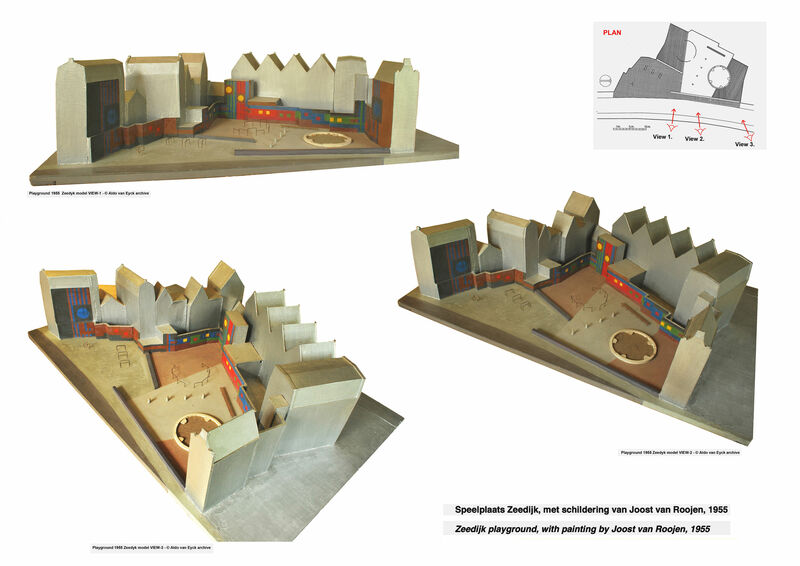 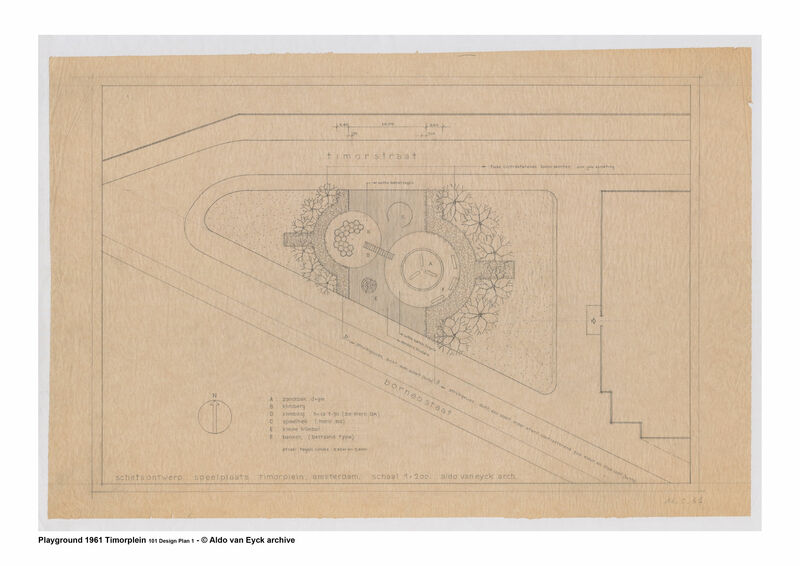 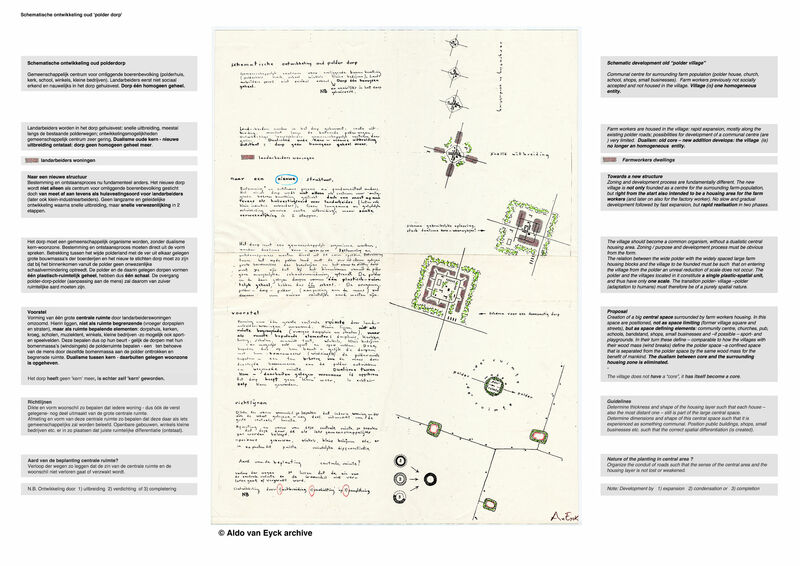 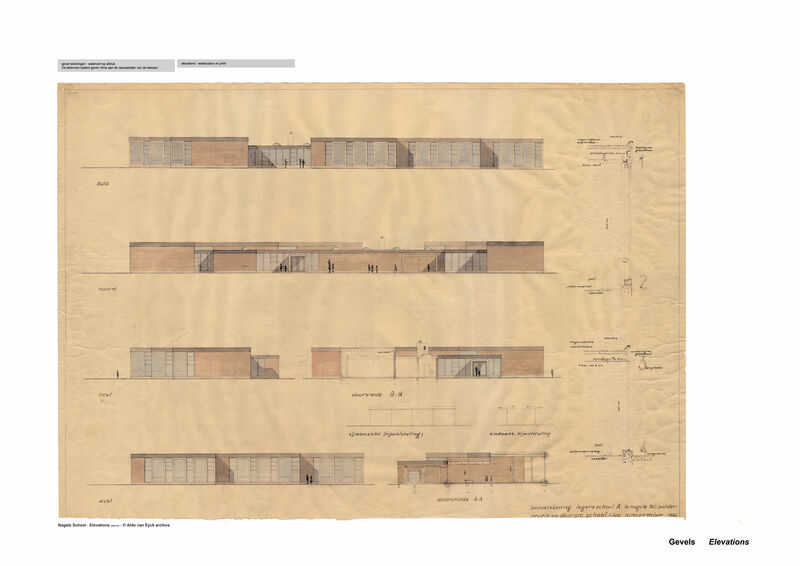 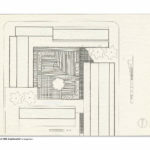 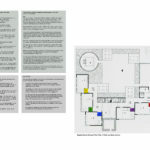 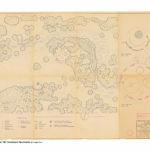 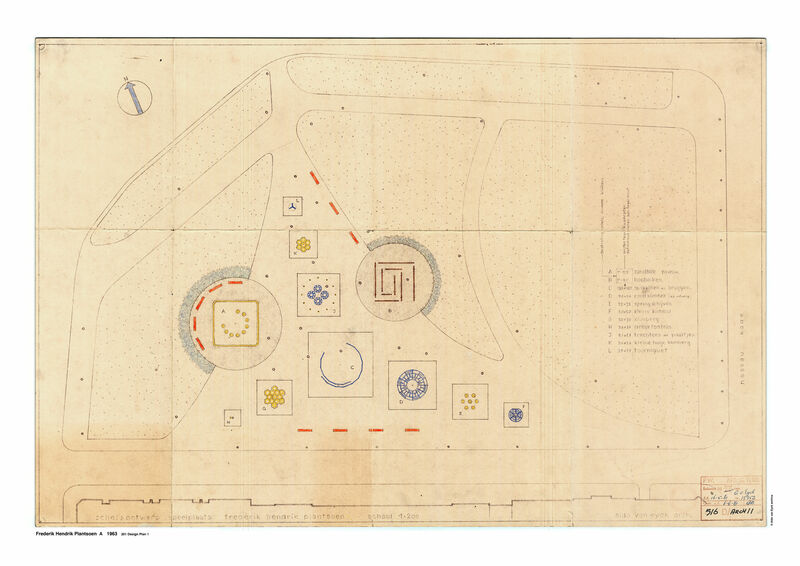 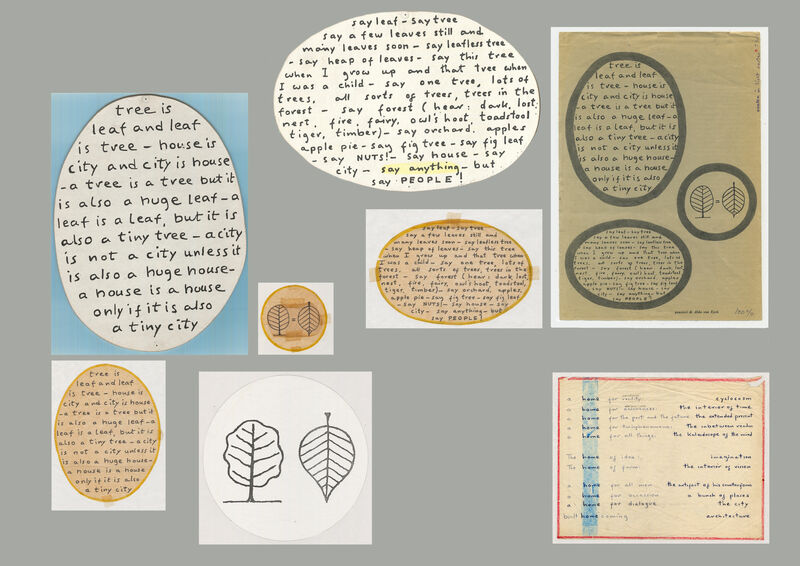 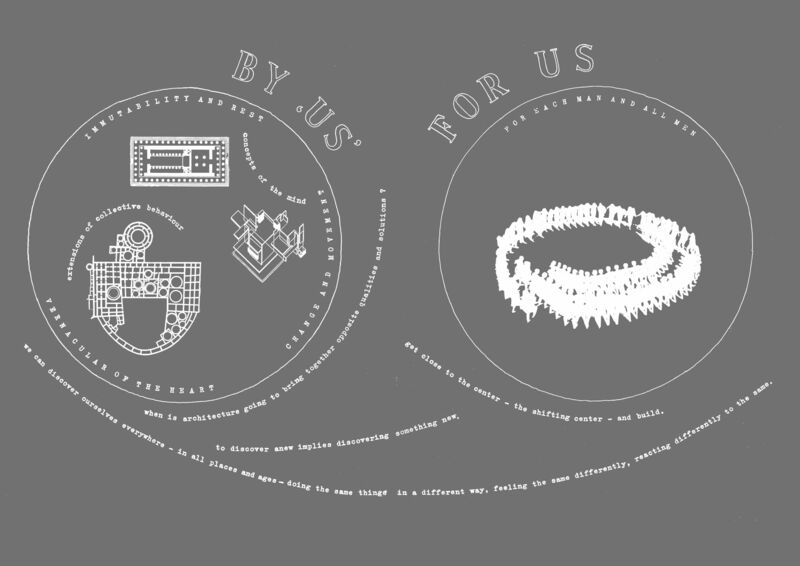 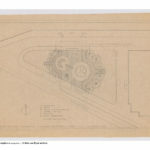 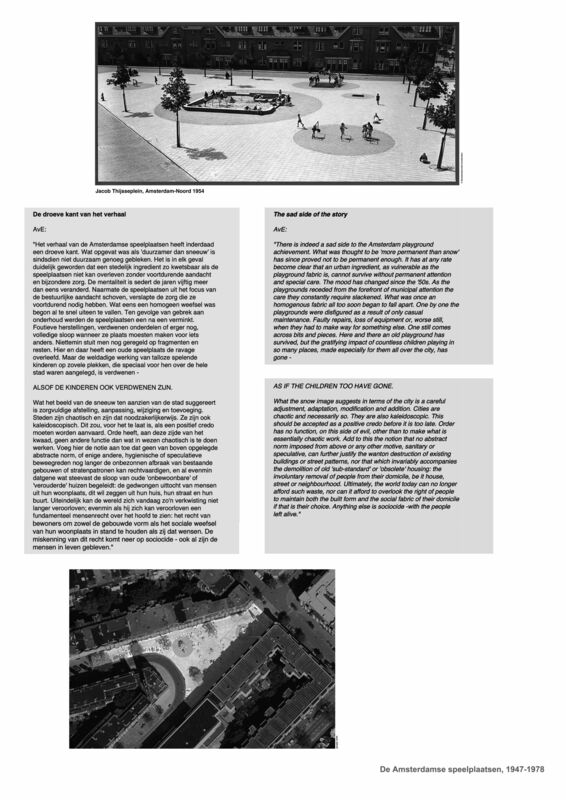 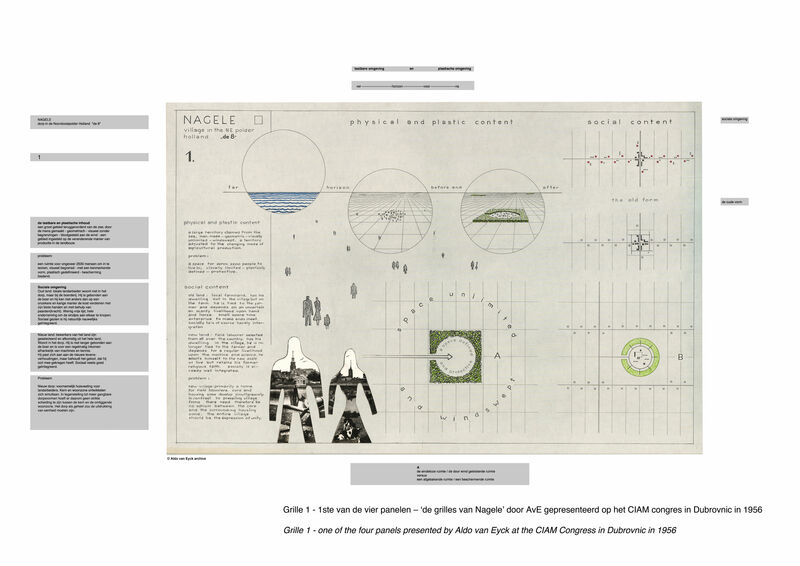 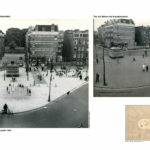 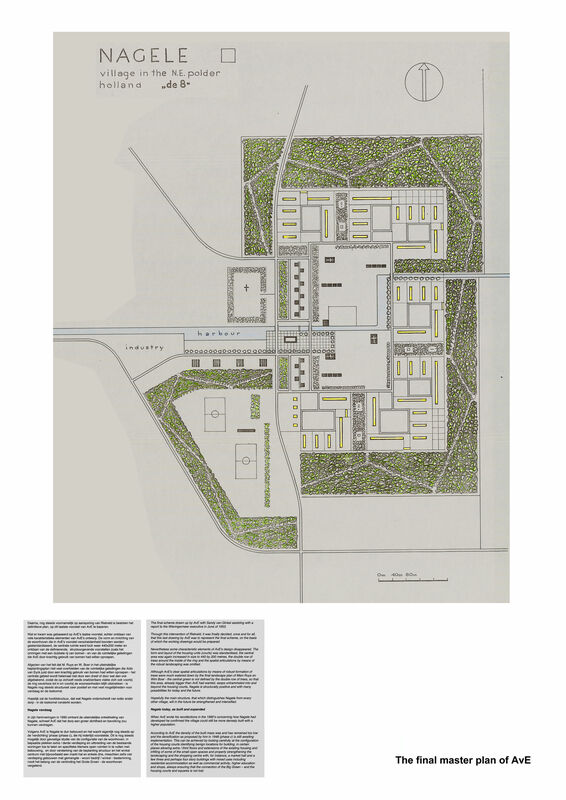 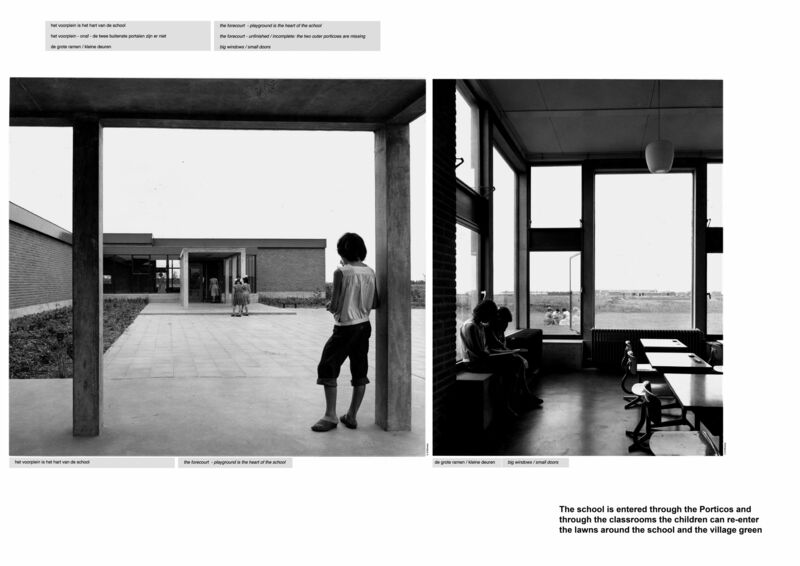 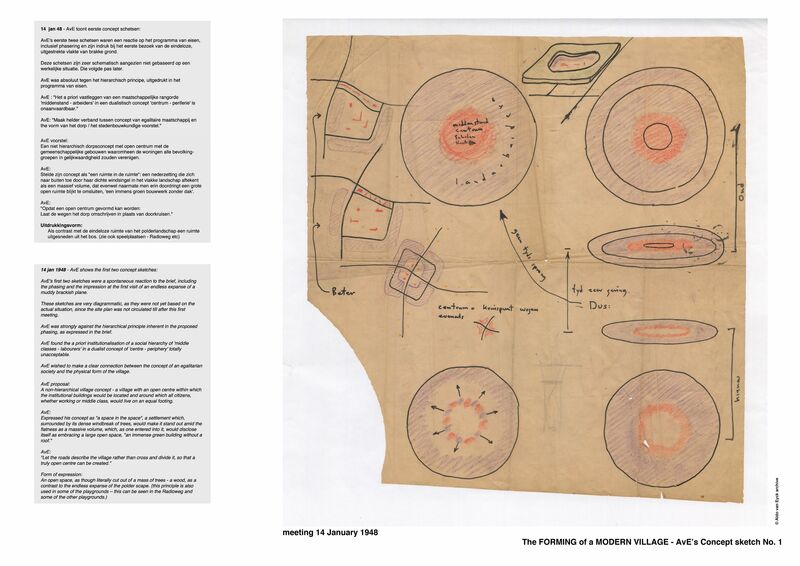 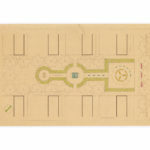 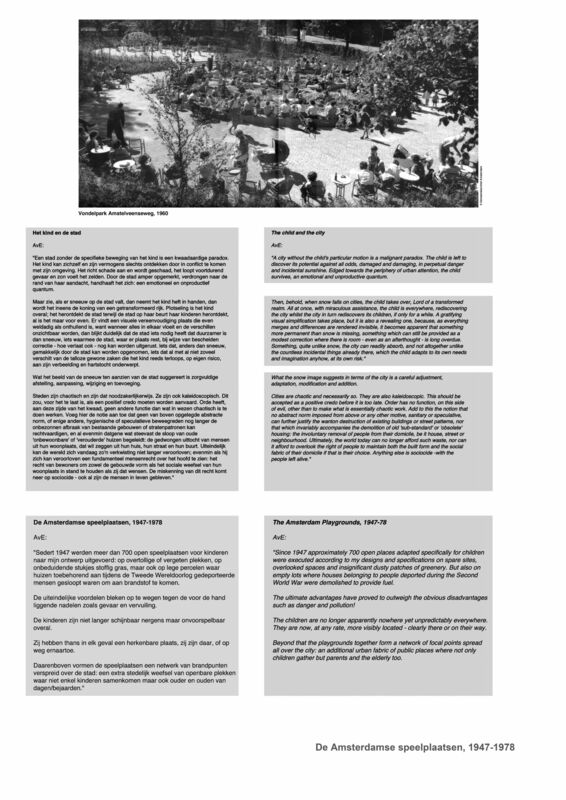 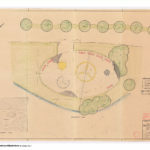 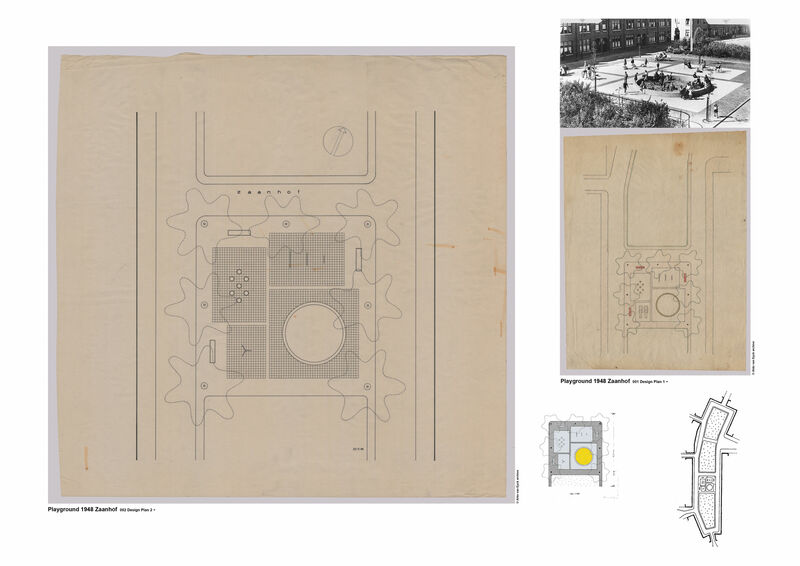 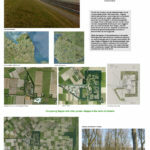 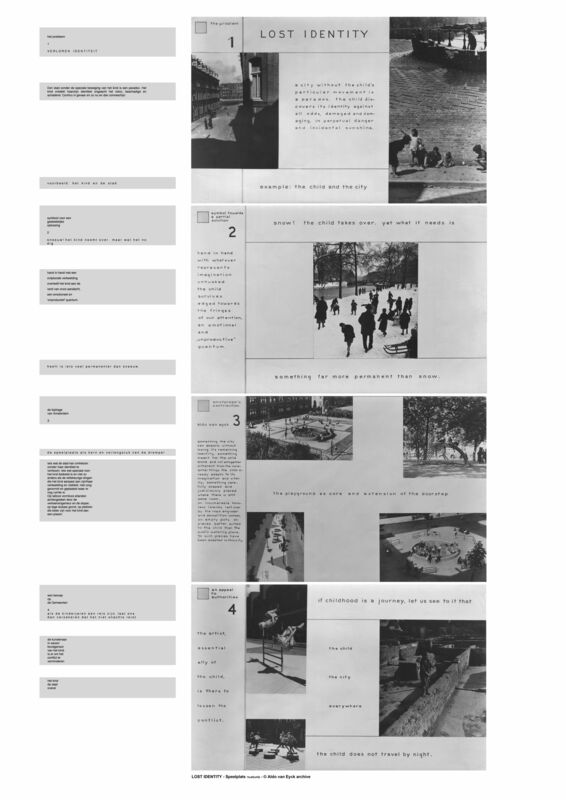 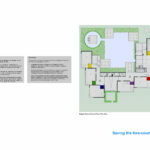 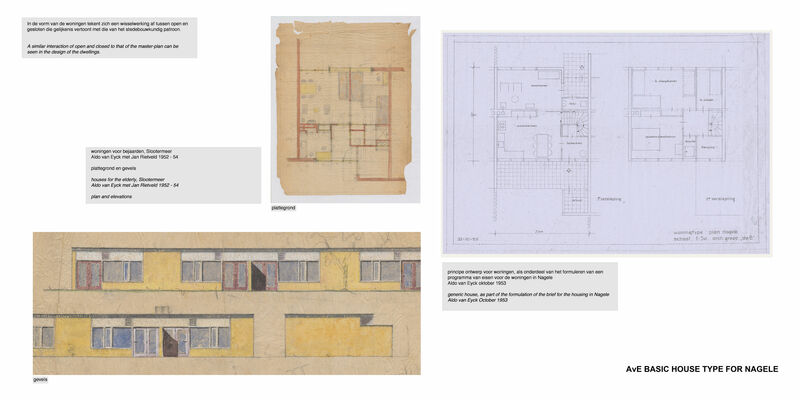 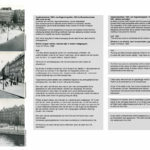 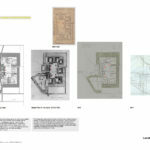 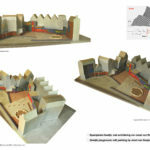 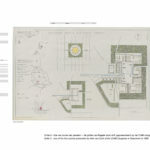 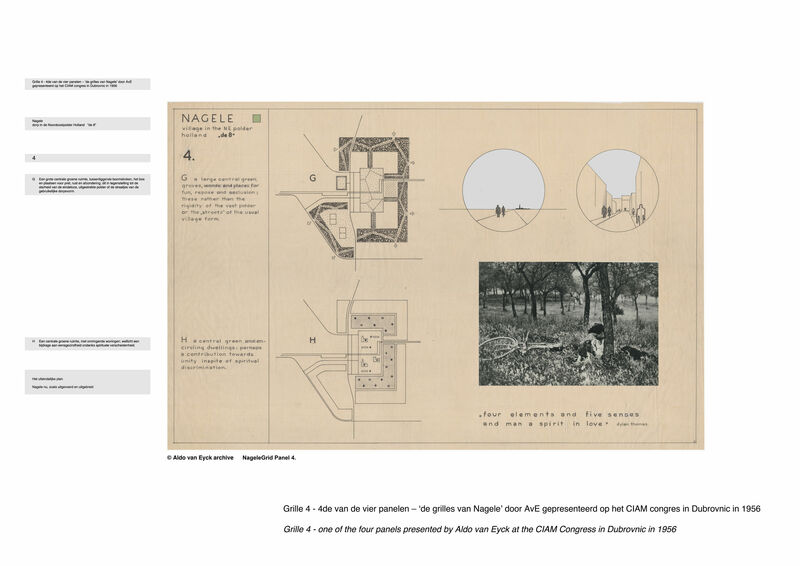 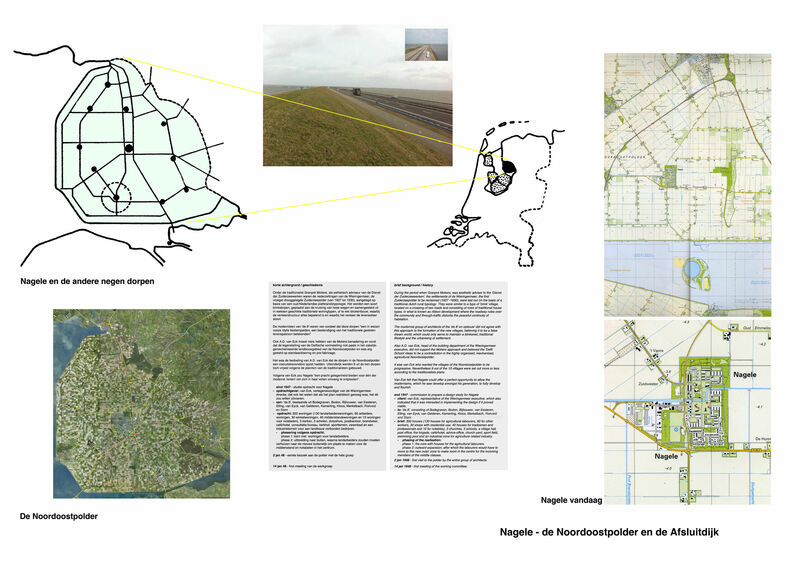 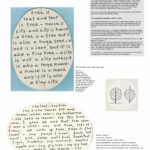 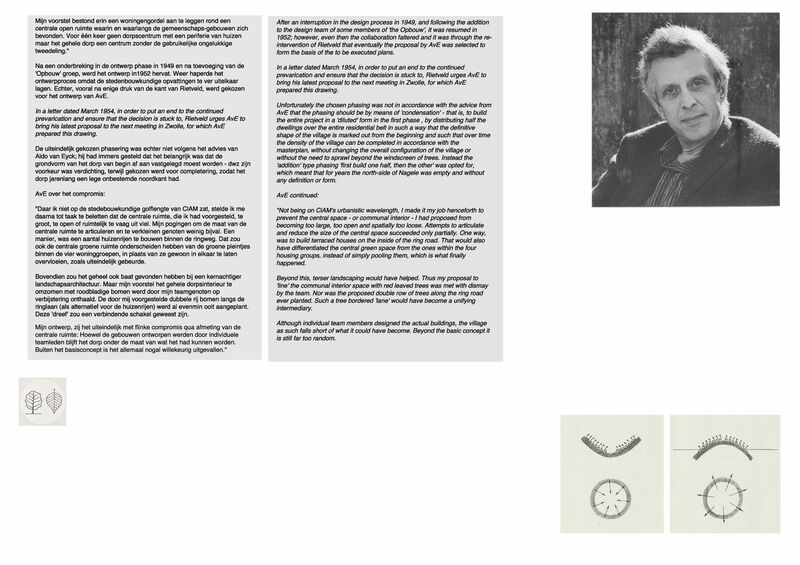 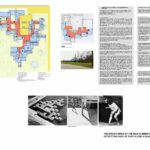 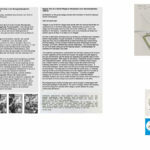 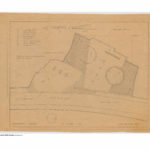 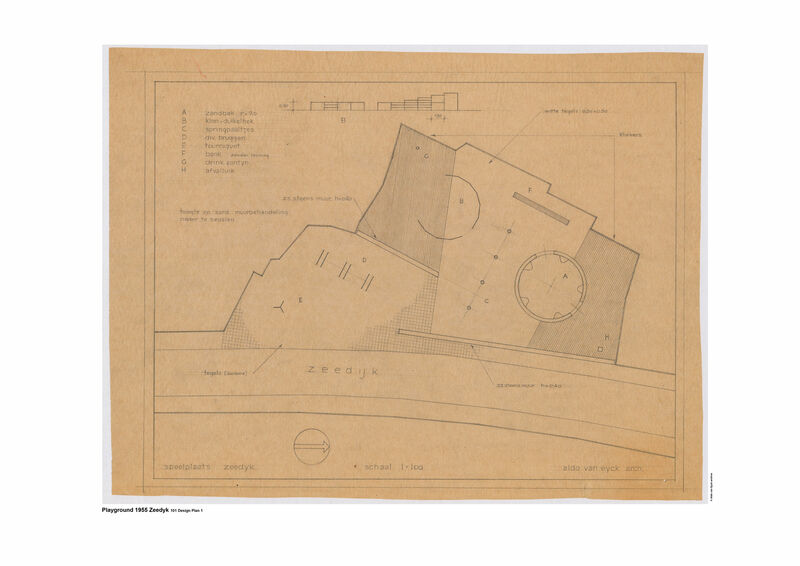 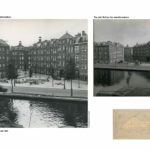 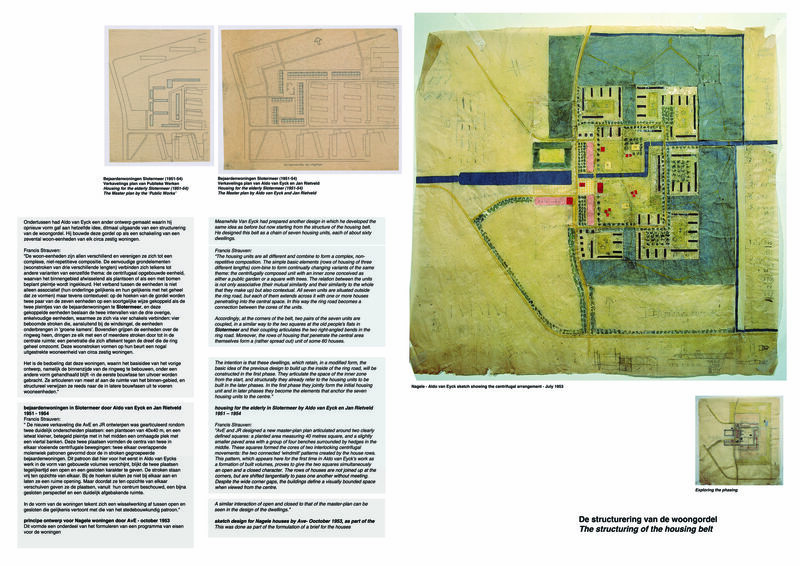 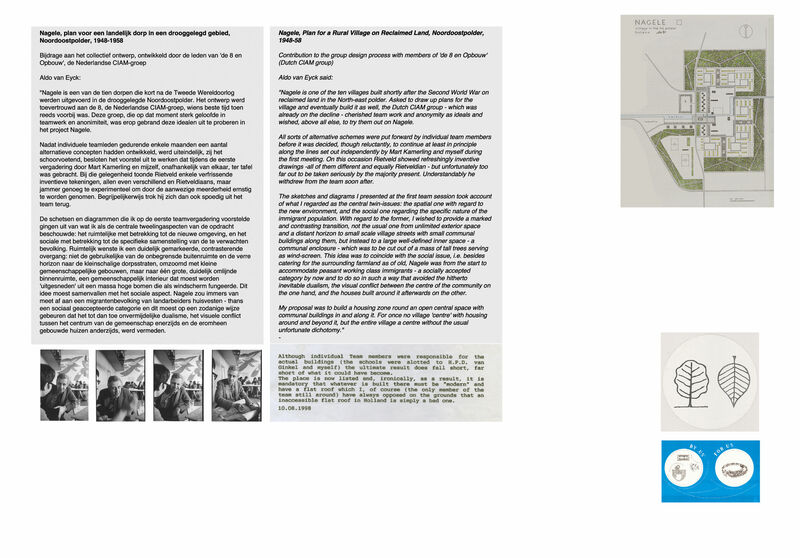 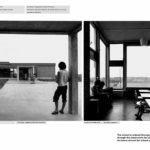 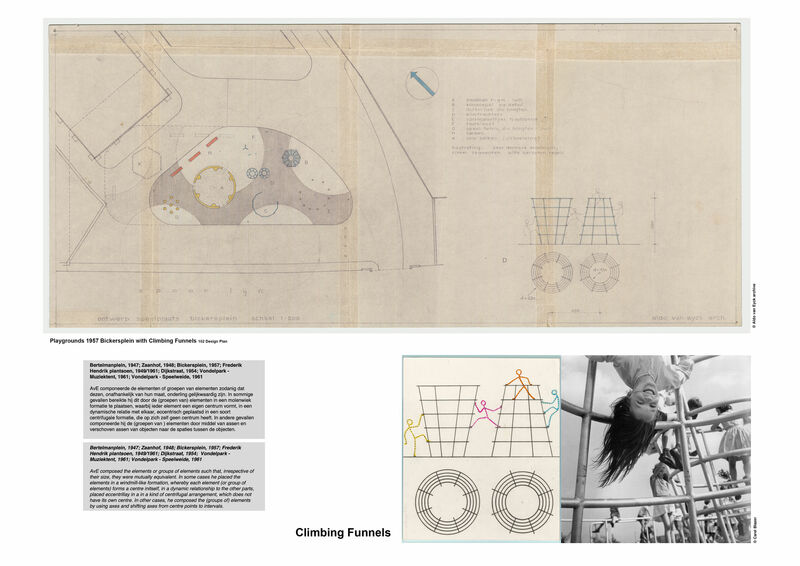 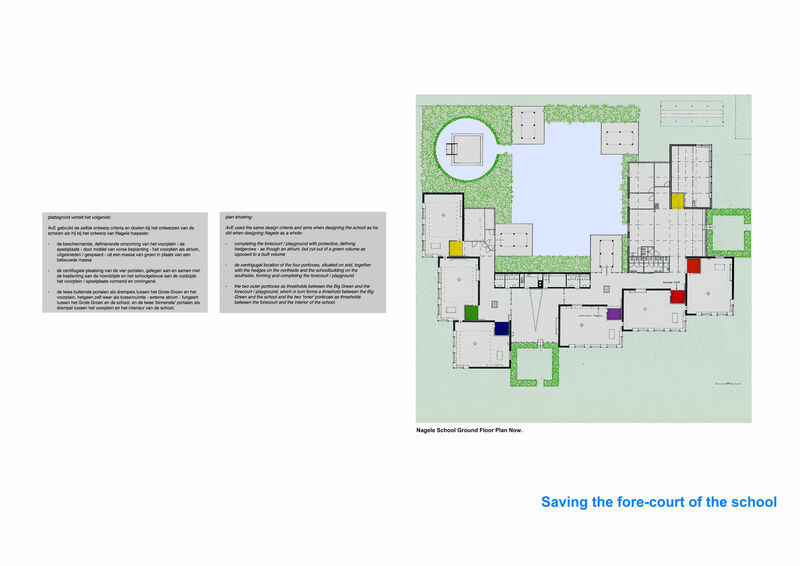 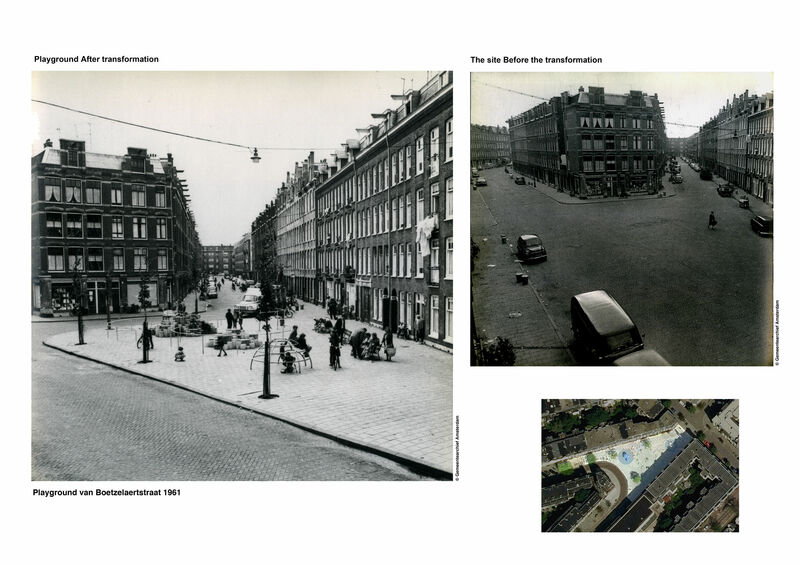 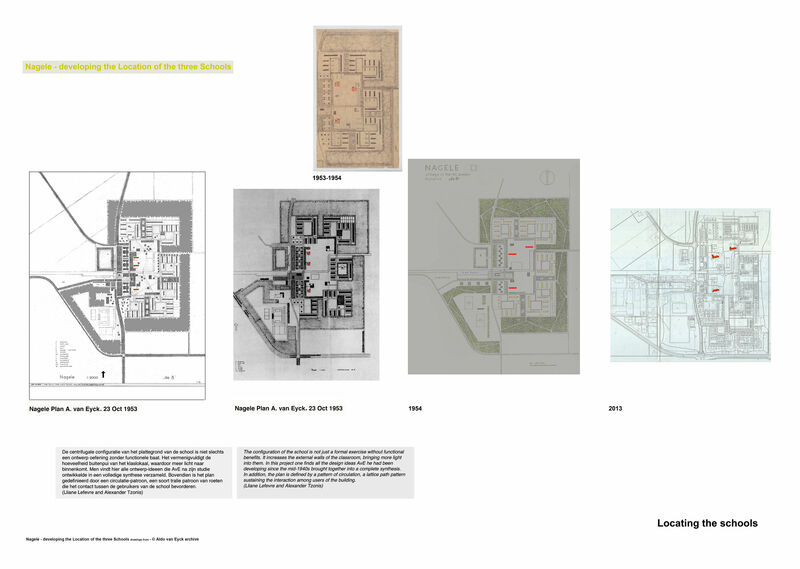 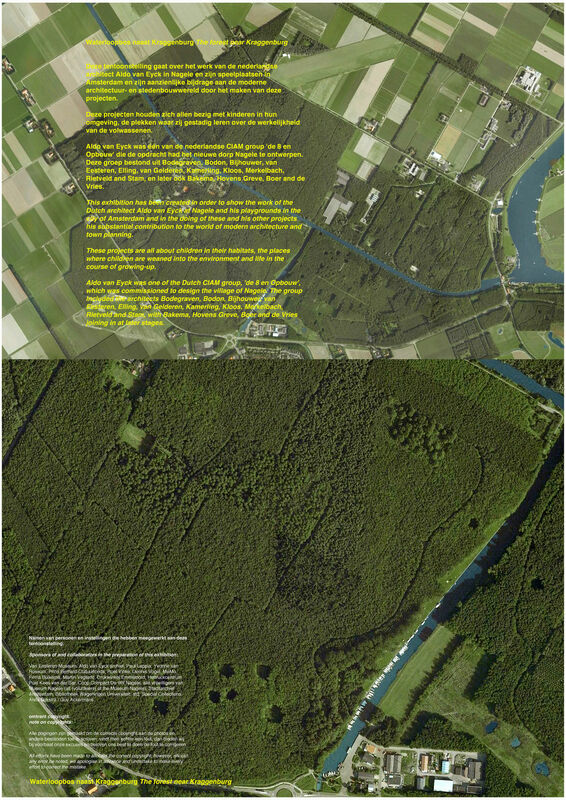 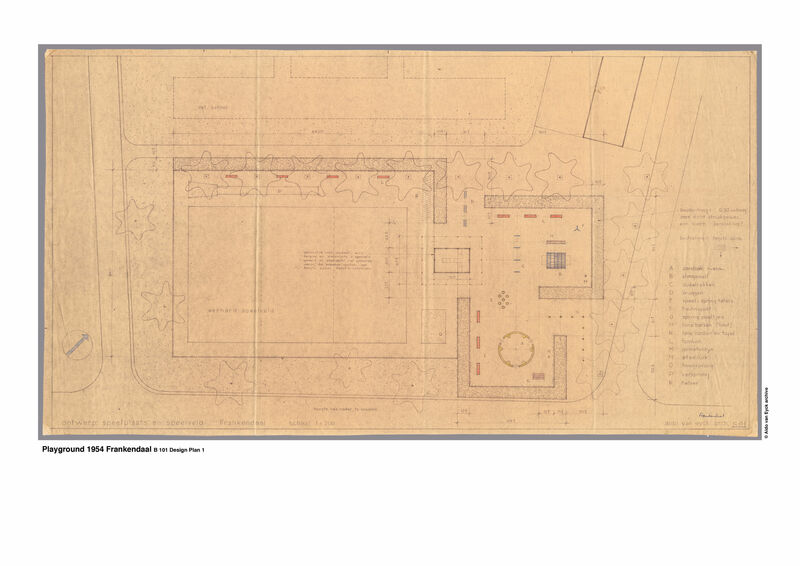 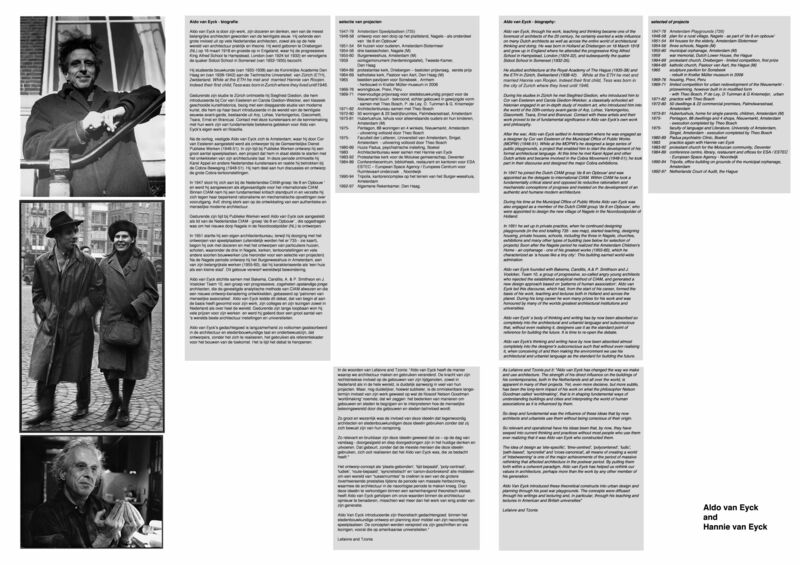 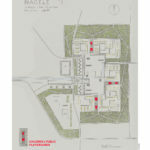 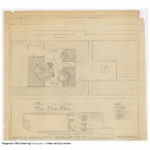 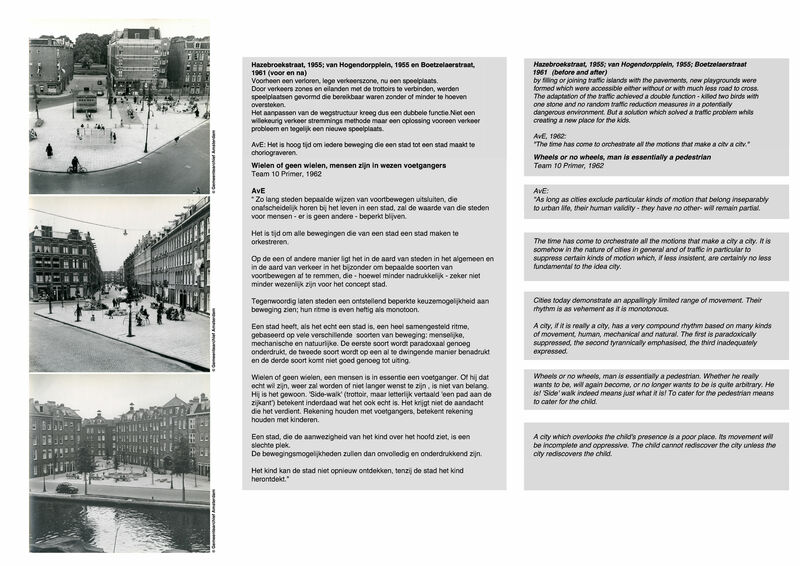 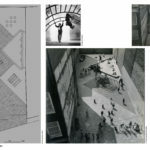 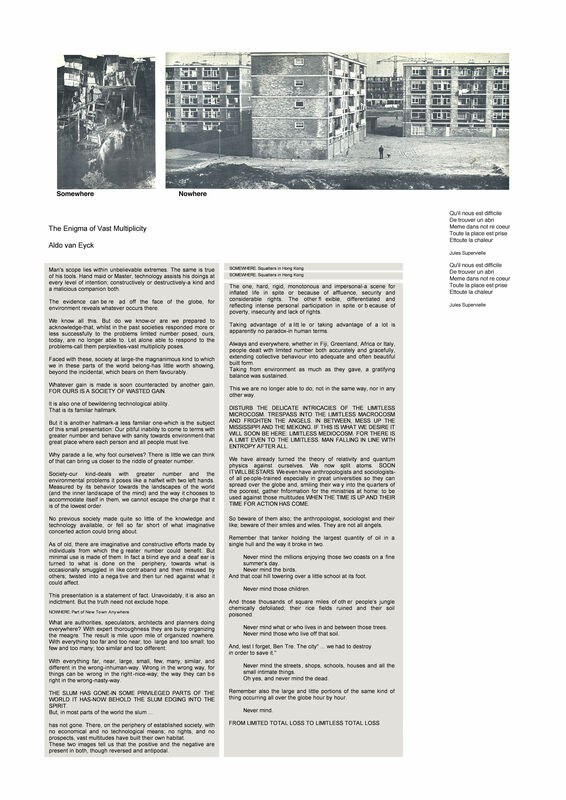 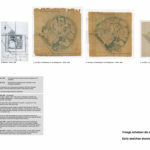 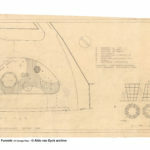 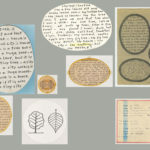 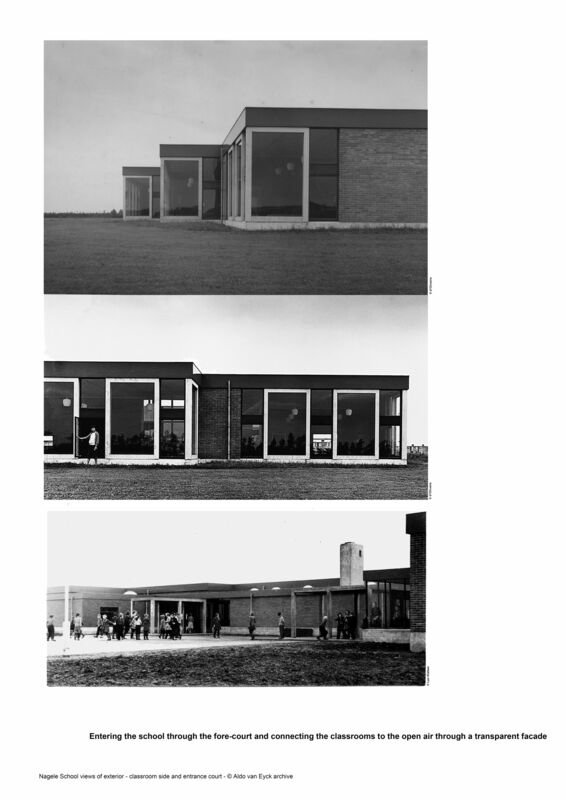 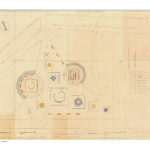 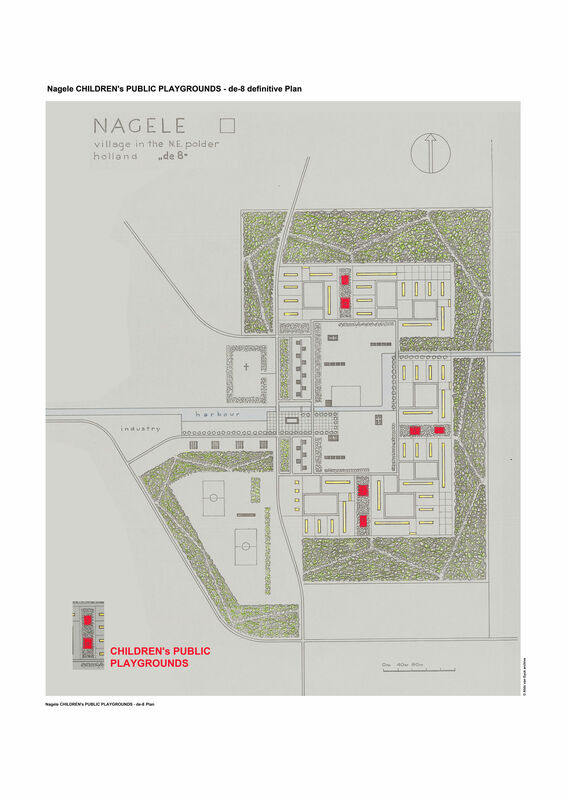 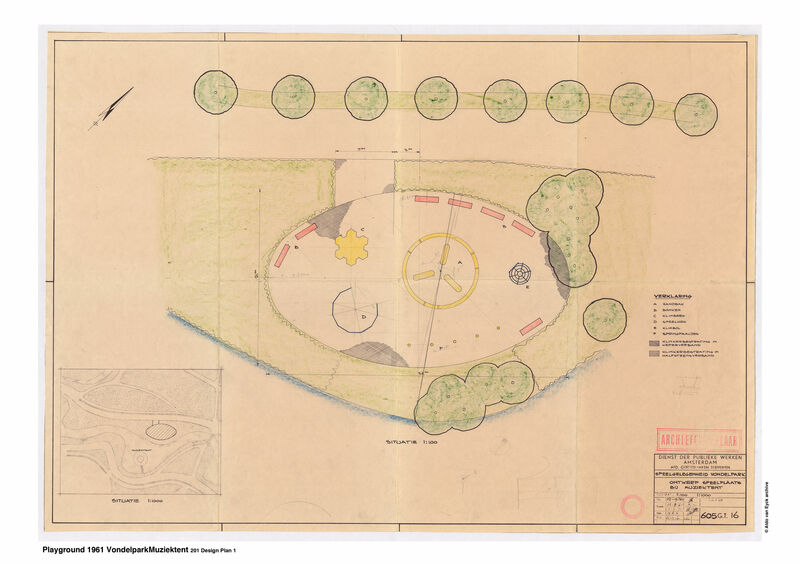 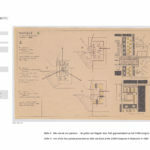 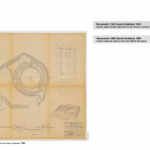 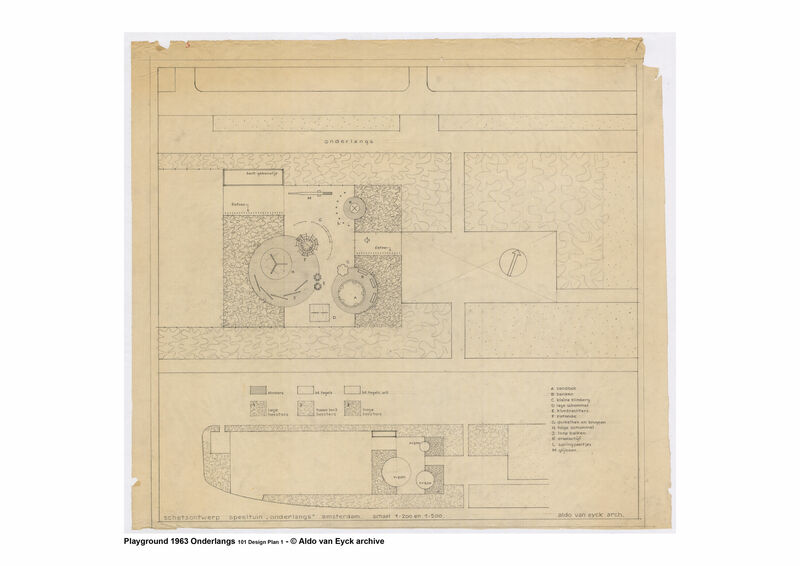 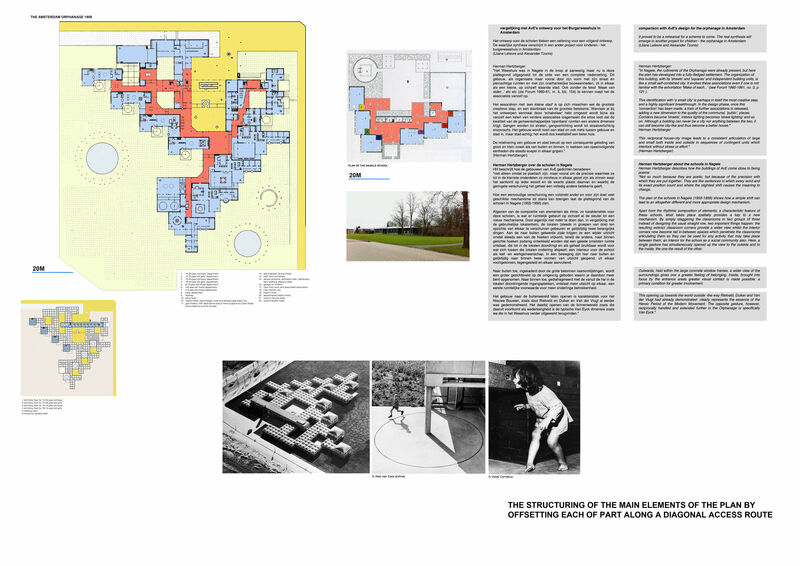 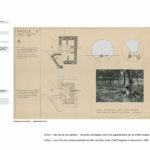 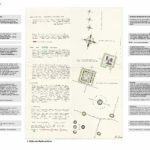 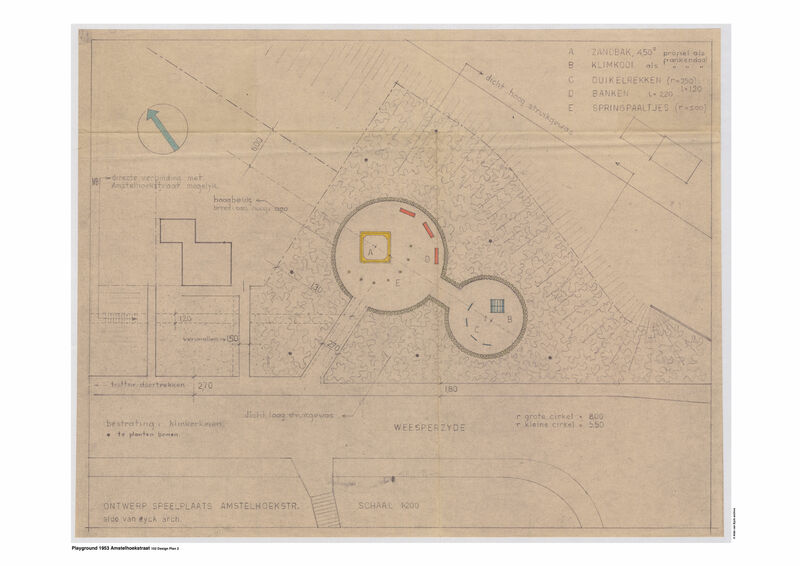 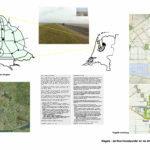 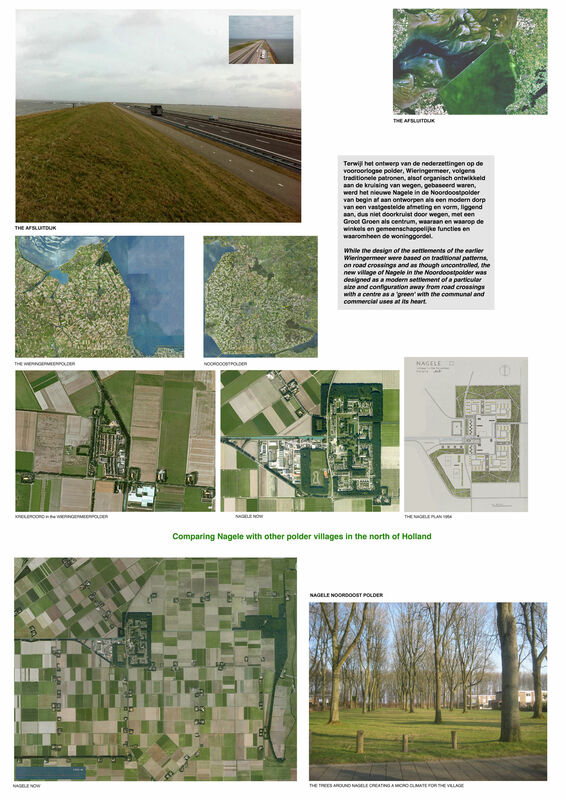 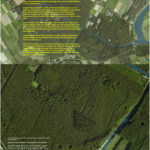 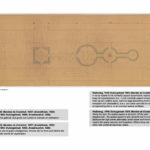 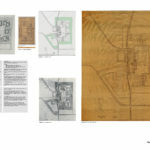 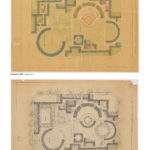 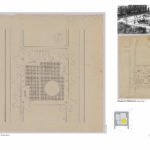 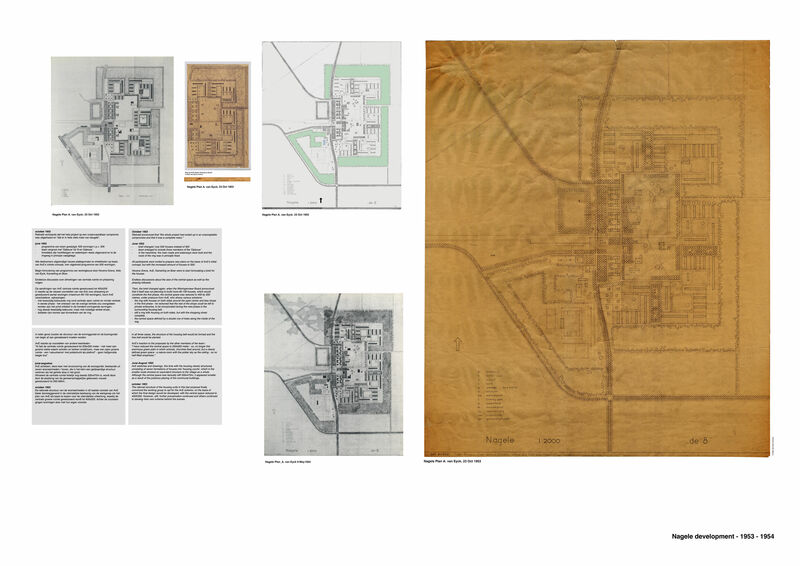 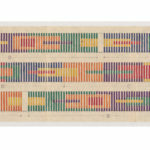 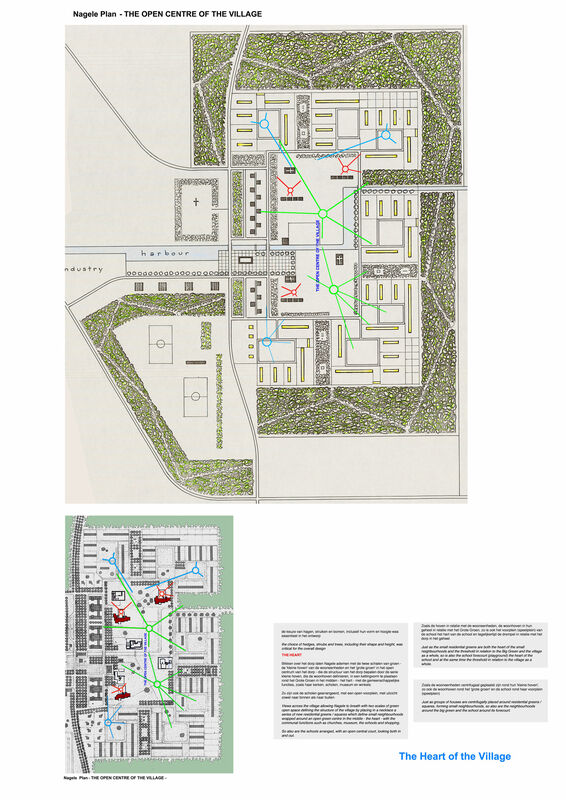 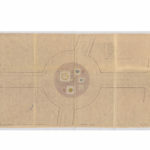 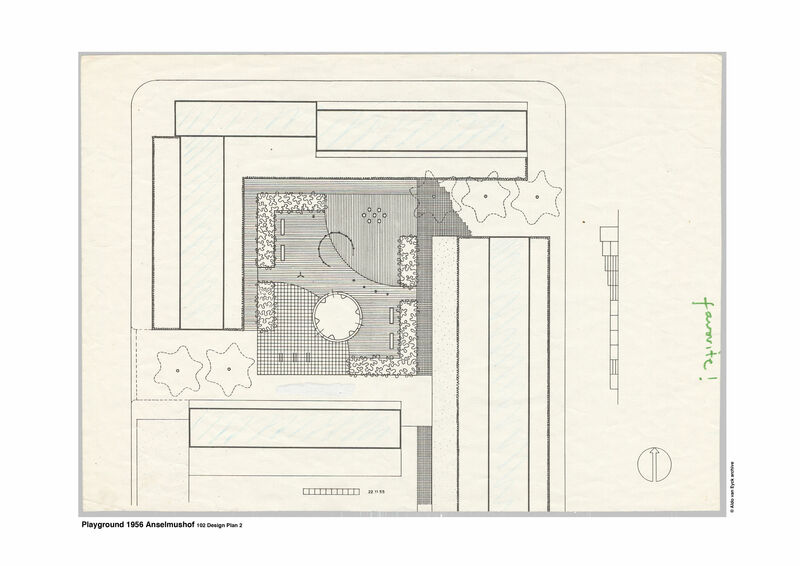 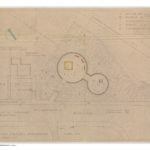 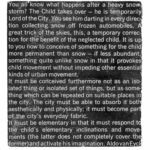 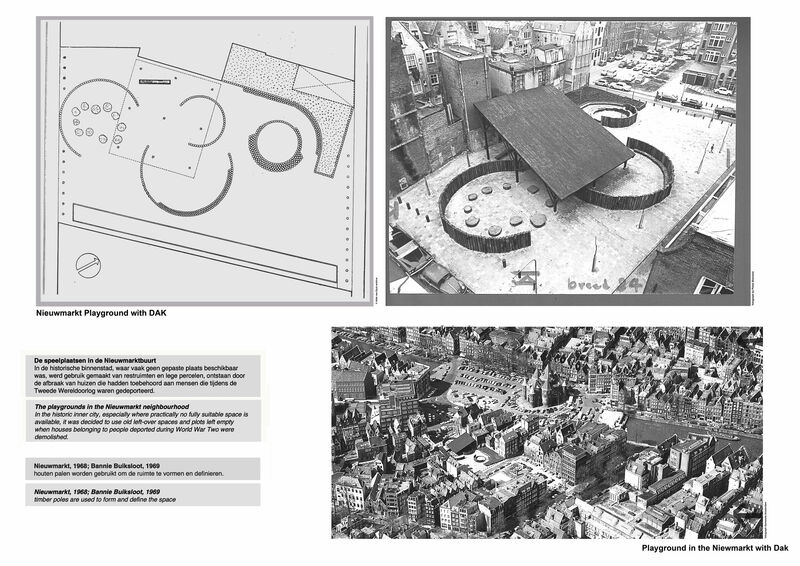 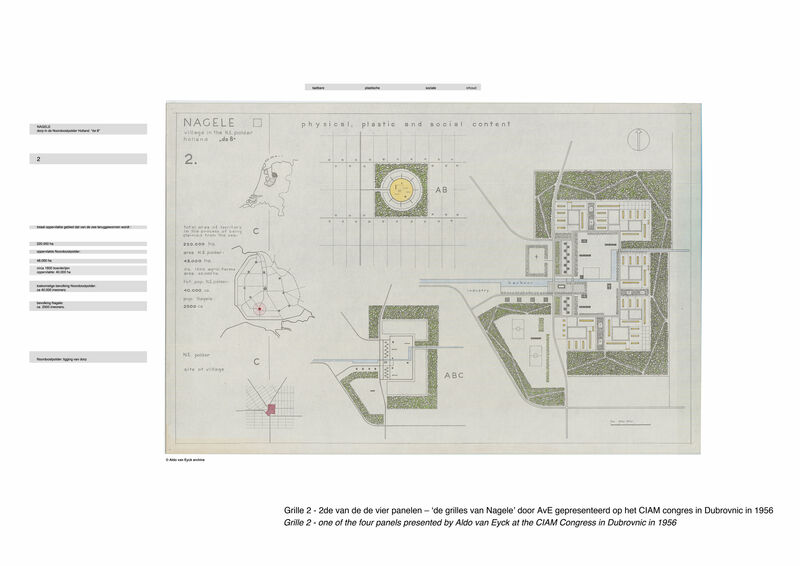 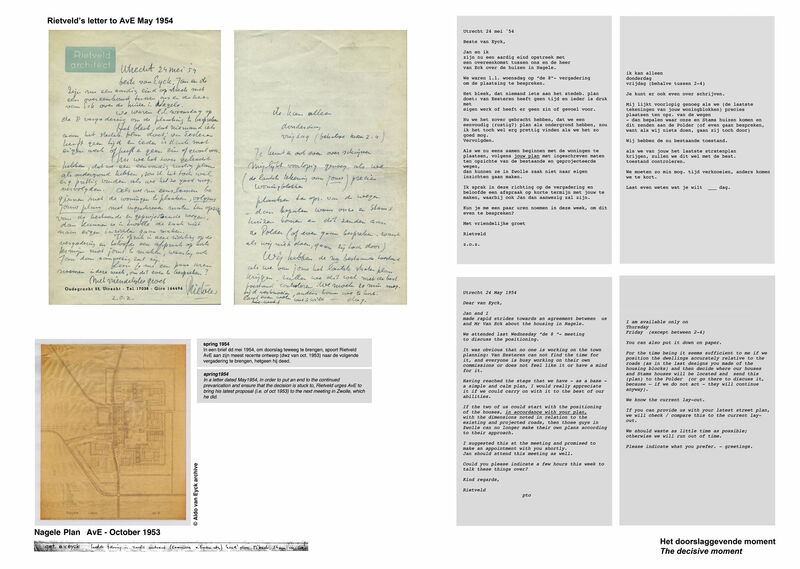 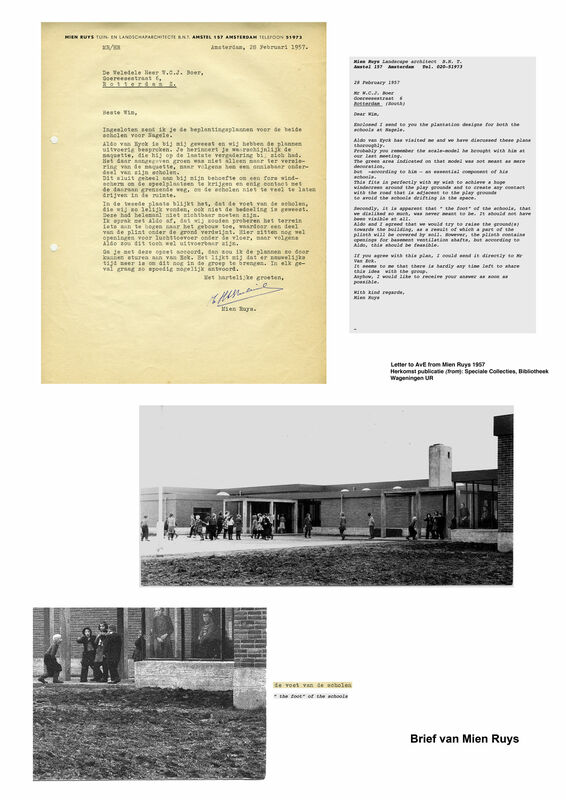 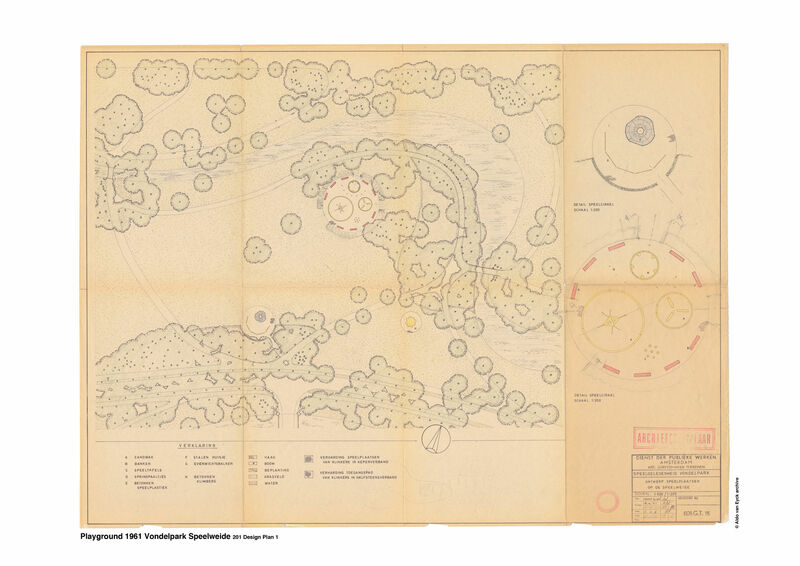 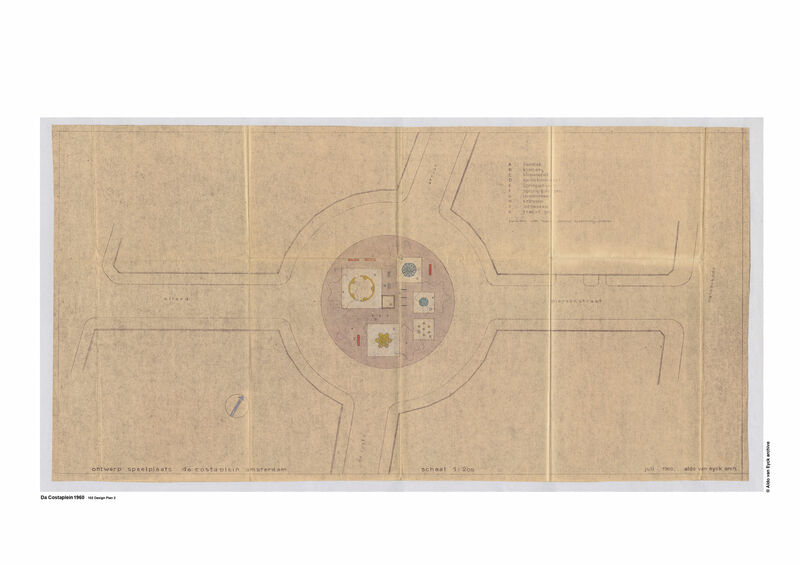 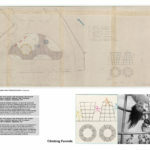 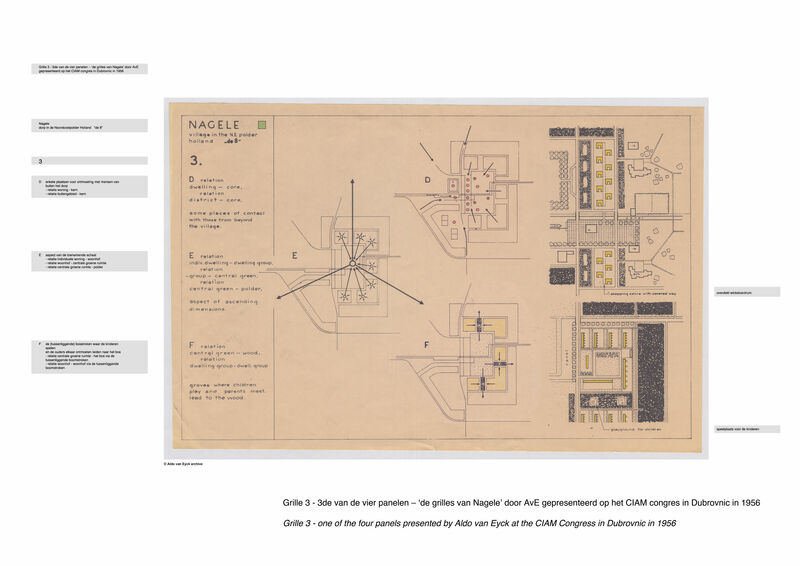 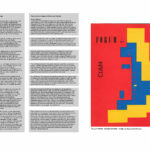 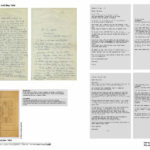 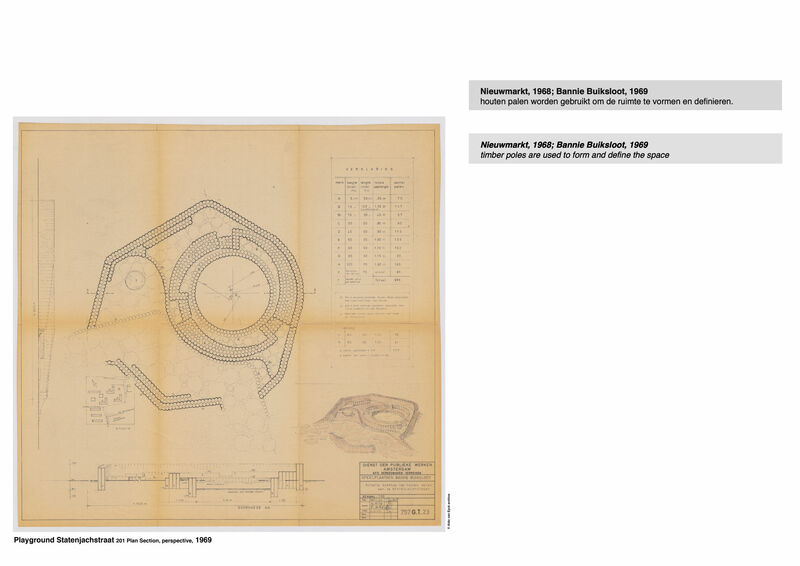 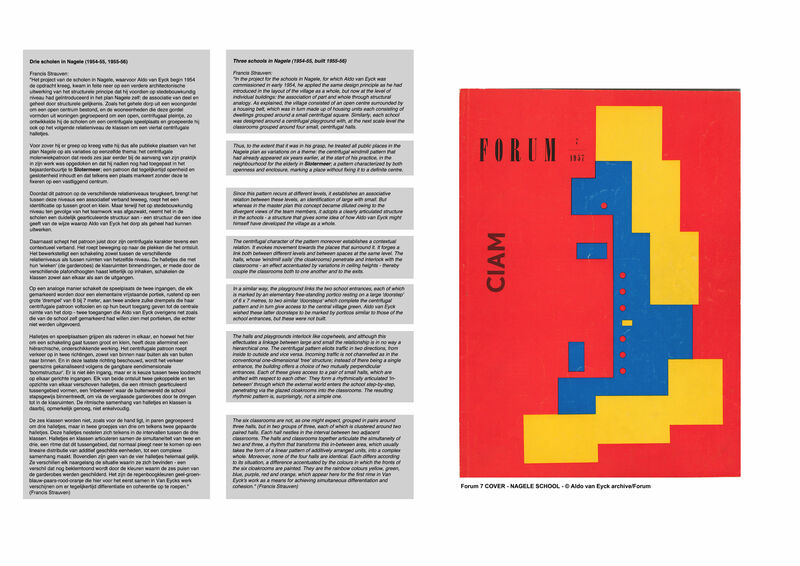 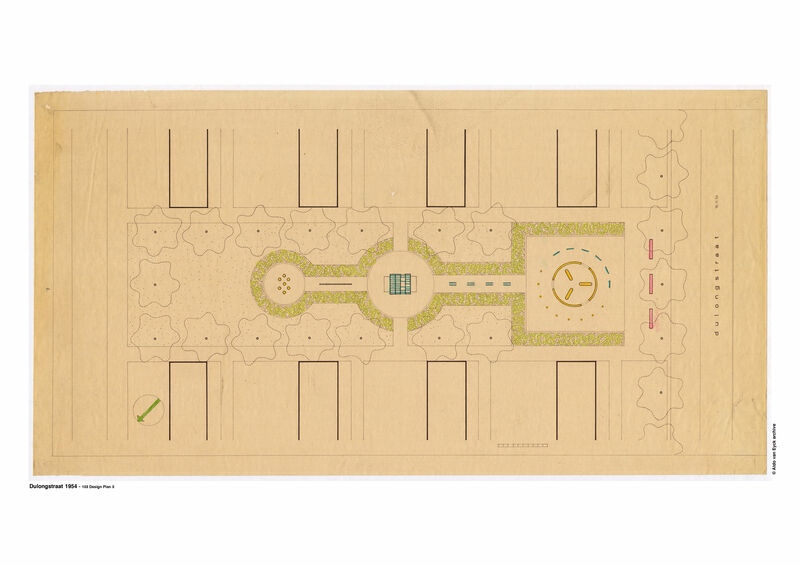 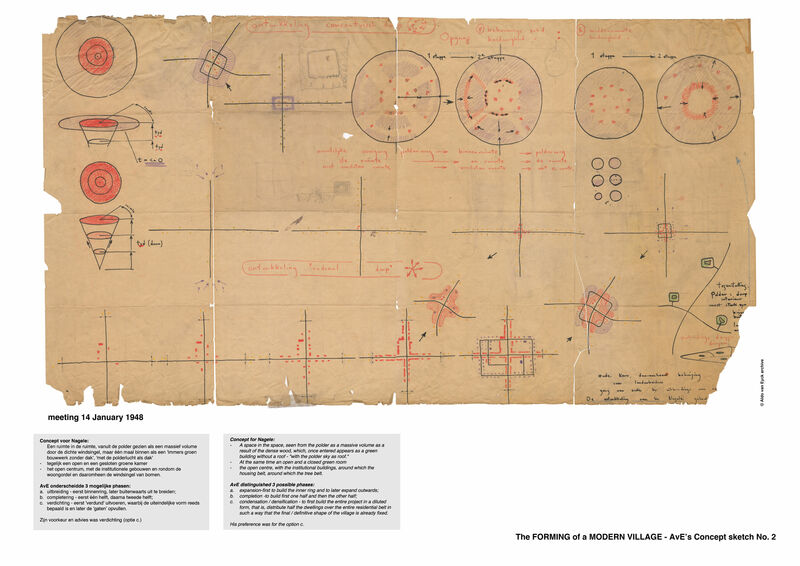 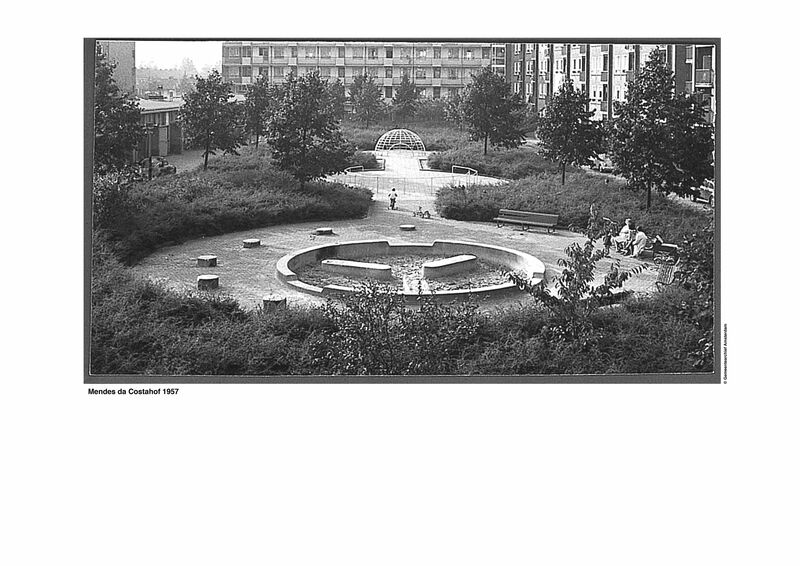 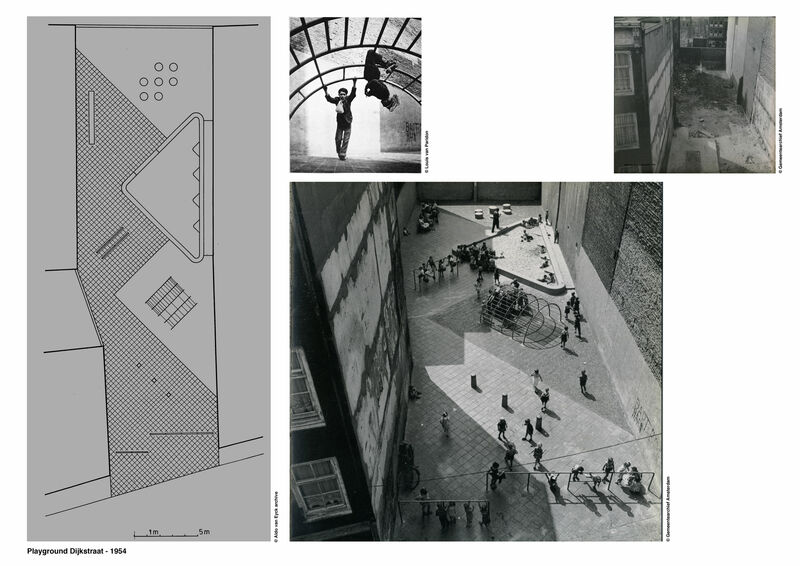 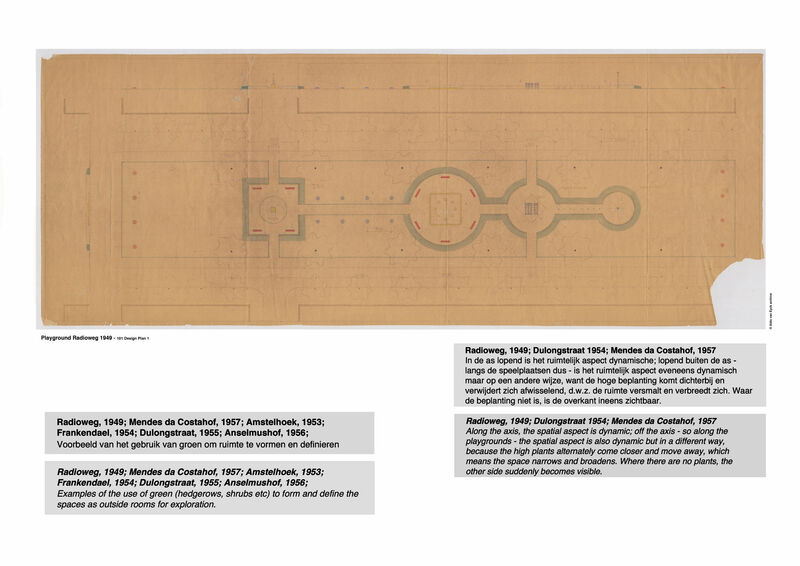 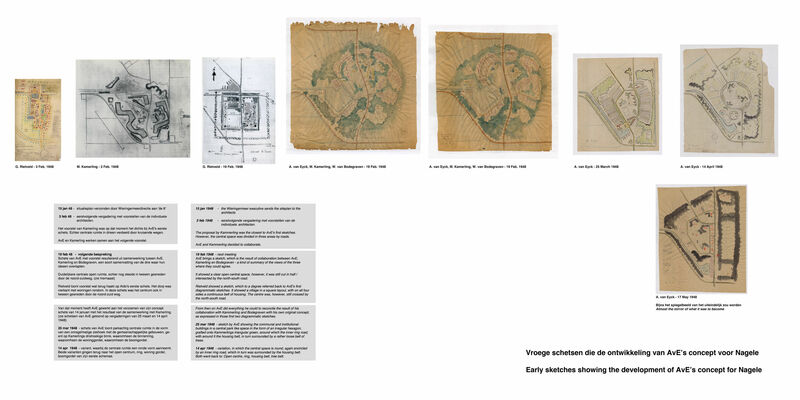 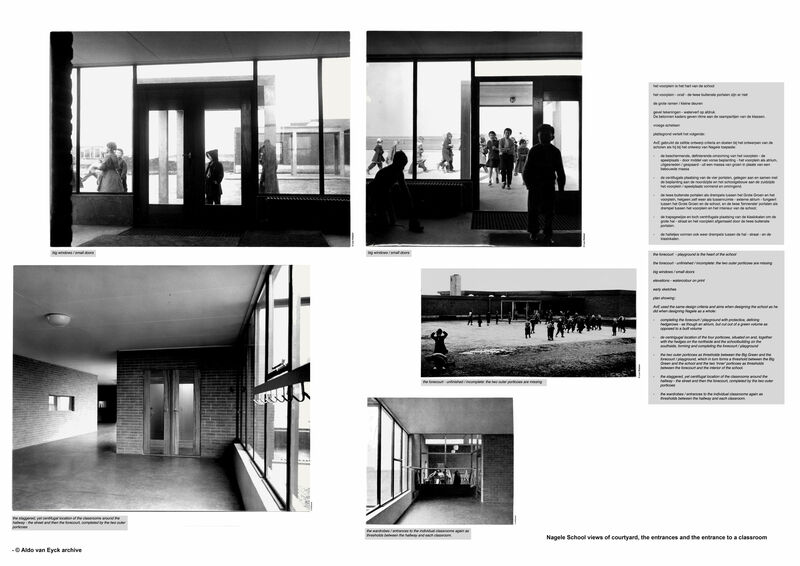 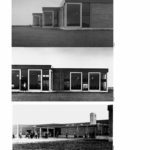 Aldo van Eyck was one of the Dutch CIAM group, ‘de 8 en Opbouw’, which was commissioned to design the village of Nagele. 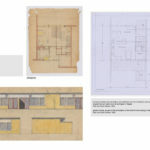 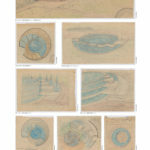 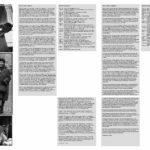 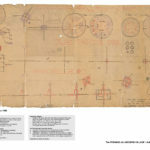 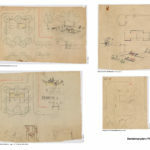 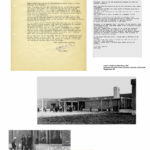 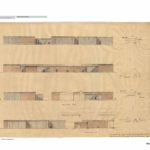 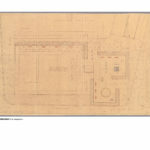 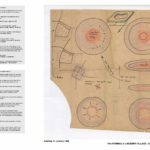 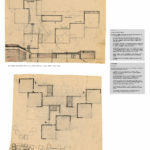 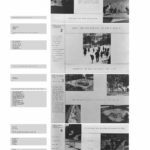 The group included the architects Bodegraven, Bodon, Bijhouwer, van Eesteren, Elling, van Gelderen, Kamerling, Kloos, Merkelbach, Rietveld and Stam, with Bakema, Hovens Greve, Boer and de Vries joining in at later stages.